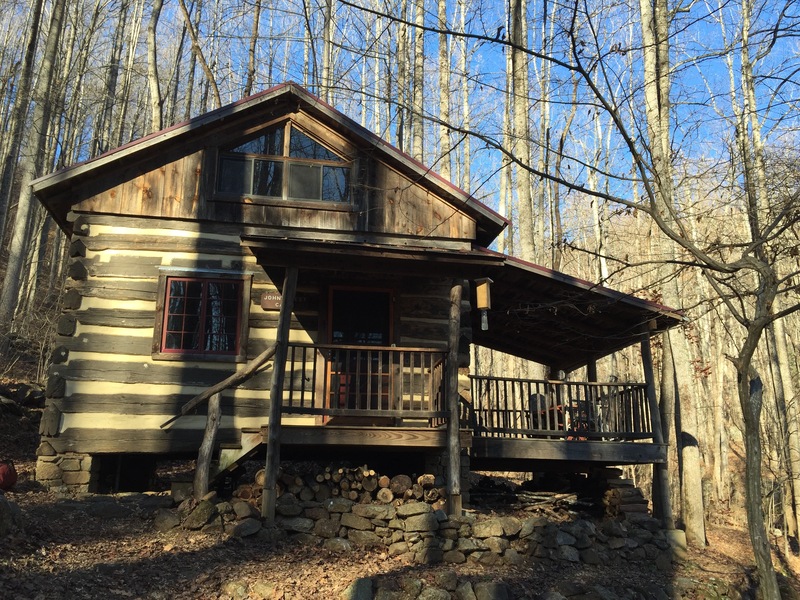 This weekend we joined good friends for a quick getaway to the nearby Blue Ridge mountains and a stay at the Rosser Lamb House. 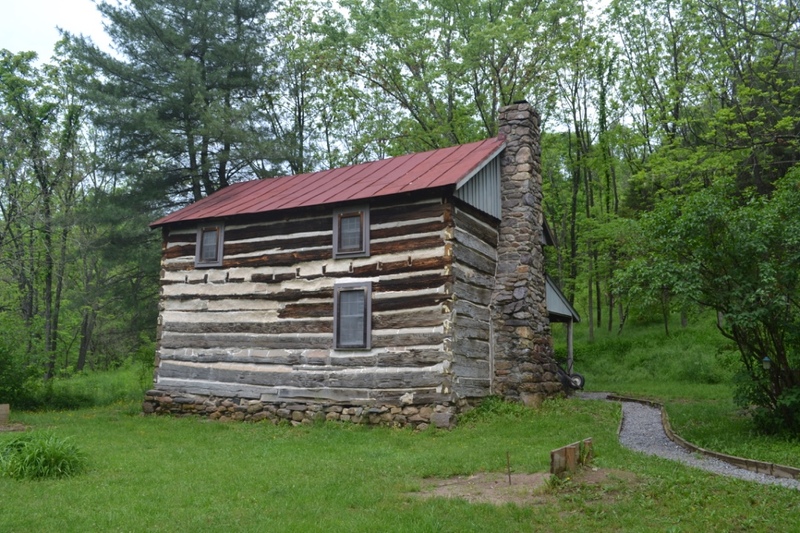 The house was built in 1915 as the home of Hiram and Lucy Lamb and their nine children, and it is now one of the Potomac Appalachian Trail Club’s primitive (no power or water) rental cabins. It is located in Lamb’s Hollow (of course), adjacent to Shenandoah National Park. Shenandoah National Park was created during the Great Depression, and the formation of the park resulted in more than five hundred families being forced by the U.S. government to leave their homes. Many of these families had been on land that they had occupied for generations, and entire communities were uprooted and moved to the east—including some to a subdivision in nearby Madison County called “Resettlement Road” (seriously). The Lambs got the word in 1934 that they needed to relocate. They had been in Lamb’s Hollow since 1845, but that wasn’t something taken into consideration by the U.S. government. But in a twist of fate, the government ran out of funding for the park before the Lambs were forced to move. So the park border stops just short of the Lamb house, and they stayed there well into the 1960s–when the house was eventually sold to be used as a hunting lodge. 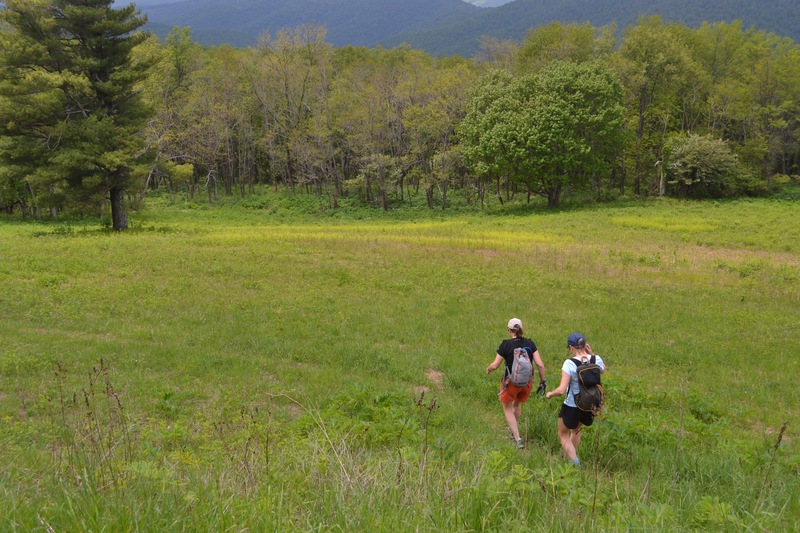 In 1995, the Potomac Appalachian Trail Club acquired the house and its surrounding property and began what became a 17-year project to restore it. The house has been described by a park historian as “a tribute to a mountain family living out the American dream in the Blue Ridge Mountains of Virginia.” And a fine tribute it is. 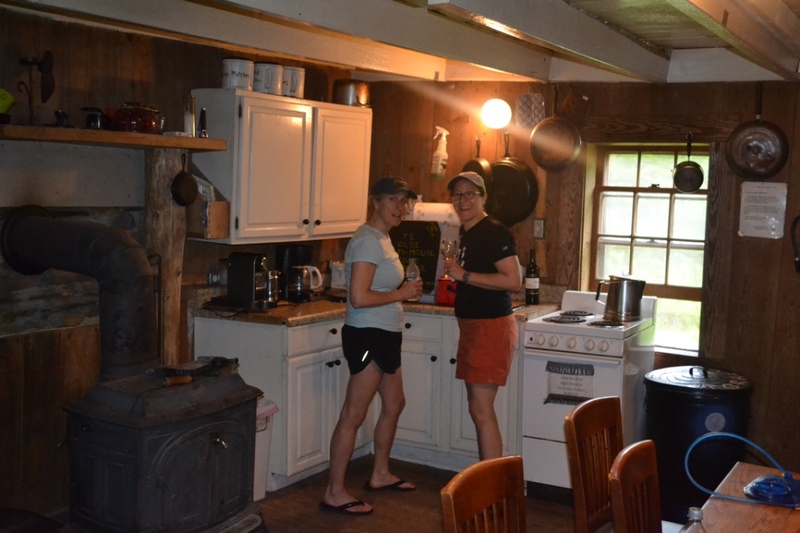 We spent our weekend hiking on the nearby trails, enjoying the stream-side setting, cooking in the spacious and renovated kitchen, and imagining life here some 100 years ago. Our visit was made even more memorable by some family history that was shared with us by Larry Lamb, a sixth generation member of the family and a volunteer with the Blue Ridge Heritage Project, and Kristie Kendall, who is a historian with the Piedmont Environmental Council. Larry and Kristie were incredibly gracious in sharing the history of the house and the surrounding area, and both of their organizations are doing amazing work. Larry’s father, Thurman, was born in the house in 1925, and Larry visited the house often as a kid. He shared that his grandparents, Rosser and Rosetta Lamb, were “kind, humble people who loved the mountains and their home.” There were also stories of corn growing on the hillside, a smokehouse, a big garden, and family gatherings that featured banjo music and dancing the Virginia Reel. 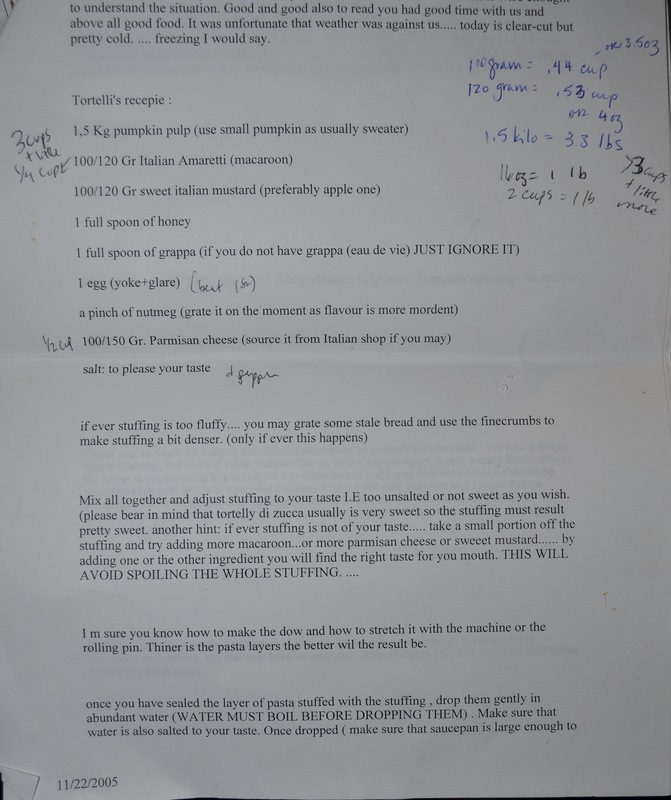 As for food during our trip, we tried to use recipes that we thought might be common back in Rosser and Rosetta Lamb’s day. 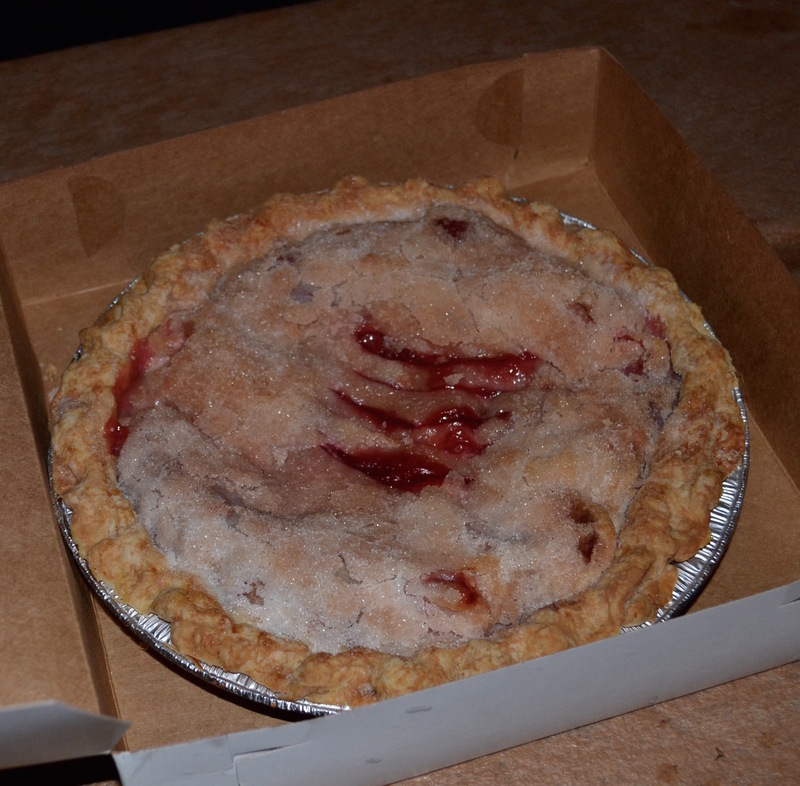 Cherry trees were popular in the Blue Ridge, so we made a cherry pie. 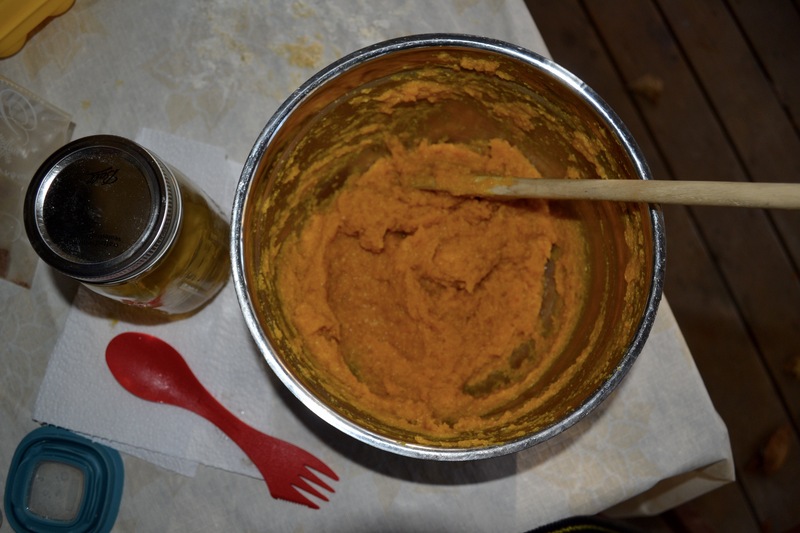 The Lambs made sorghum molasses, so we baked molasses cookies and muffins. They grew corn, so we had corn on the cob. 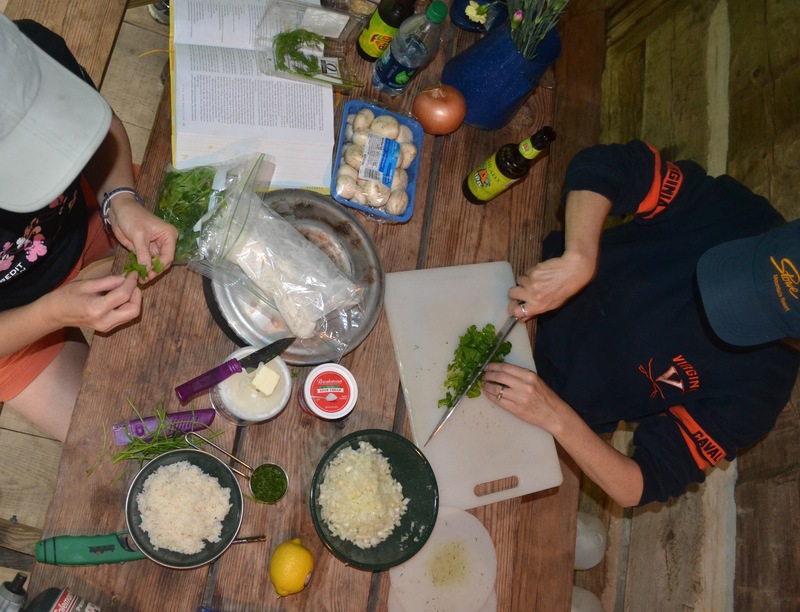 They likely ate wild ramps, so we had some ramps. The streams in the park had wild trout, so we made a trout dip. 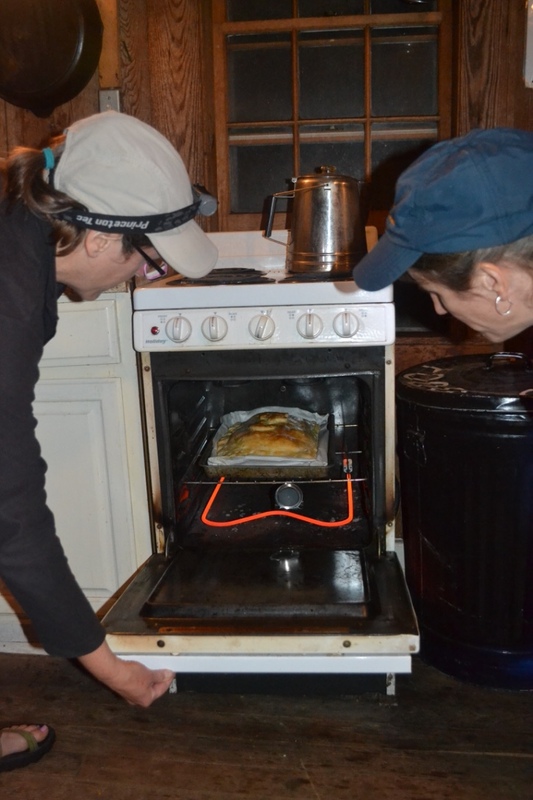 They had a smokehouse, so we smoked some fish. Of course, it’s a lot easier when you get your food from the local supermarket and keep it on ice in a giant cooler—a little different than in Rosser and Rosetta Lamb’s day. Later on the trip, we visited Far Pocosin Mission, which is about a two mile hike from the house. The Mission was founded in 1902, and historians describe it as the center of the community at the time. Now, 115 years later, the Mission is slowly fading into the forest–but there are old foundations, stairs, and chimneys that are still visible. Rosser Lamb attended church at the Mission, and his children went to school there. 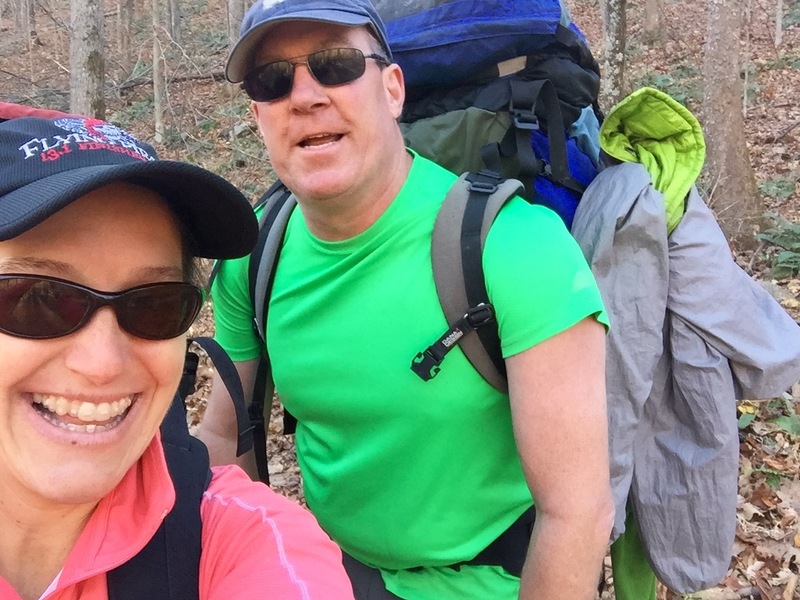 I’ve enjoyed hiking and backpacking in and around Shenandoah National Park for more than 30 years now, and I confess that I haven’t always thought much about the human history. But we found the house and the mission to be powerful reminders of the people that were here before the park. The house is a fine tribute to the Lamb family, and to a lot of other families that lived in the neighboring hollows. I really can’t imagine what it must have been like for those that were forced to leave. Lastly, it turns out that Pocosin Mission was founded by a very distant relative of mine, Frederick William Neve, a fact which was fascinating to me—but was either irrelevant or annoying to Souzz and our friends. After all, how many times can you listen to someone say “hey, I’m related to the guy that built this!” without wanting to scream? Actually, I know that answer, and it’s four. 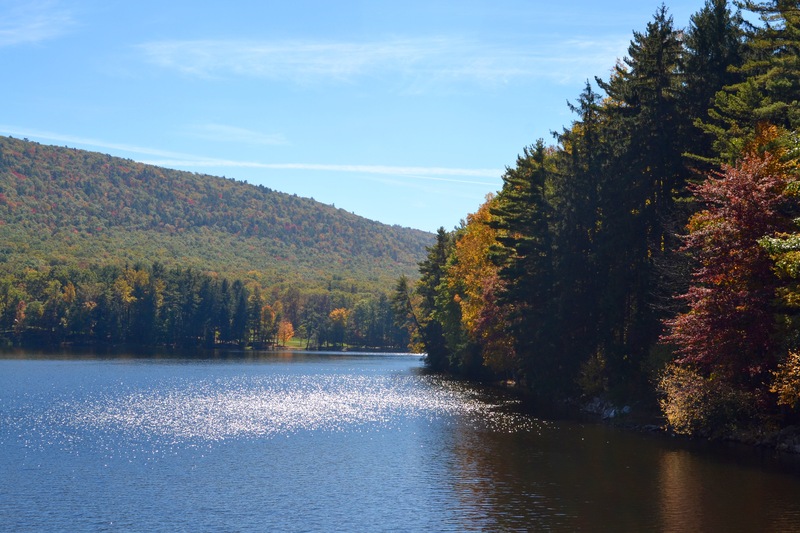 The east coast has some fun destinations, including Great North Mountain, which forms the border between Virginia and West Virginia for about 50 miles. Much of the mountain is above 3000 feet, so the views across neighboring valleys are among the best around. 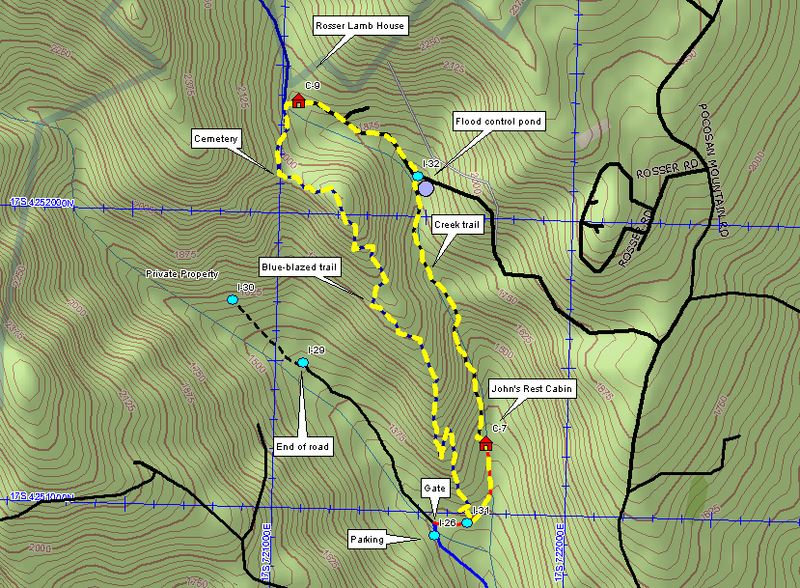 The area also has a well-developed trail system, including a few summits that offer 360-degree views (ok, so I guess you can actually see in multiple directions from any place). This weekend’s trip was to Sugar Knob Cabin, which was built in 1920 as a shelter for rangers patrolling the George Washington National Forest. 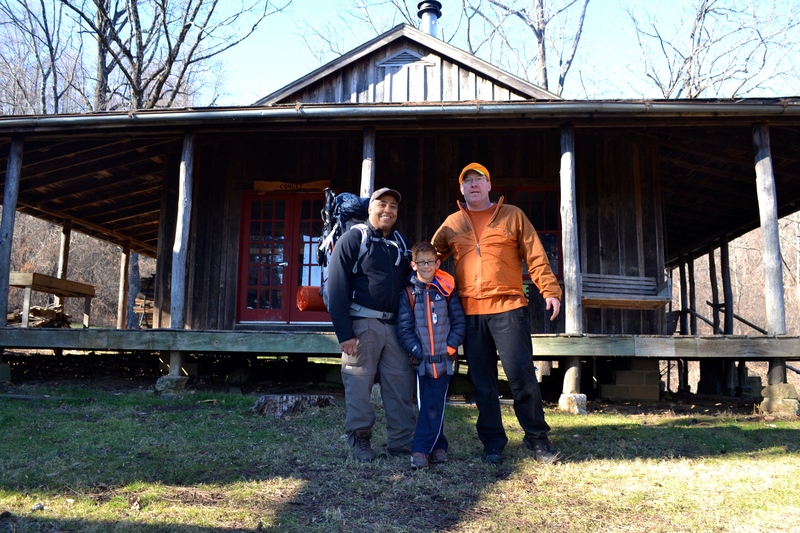 Nowadays the cabin is managed by the Potomac Appalachian Trail Club and is rented out to backpackers willing to make the six mile (round trip) trek. I have backpacked past this modest 10 foot square stone structure many times, dating back to the mid-1980s, and have always been curious about it. I was invited inside once by a few new friends on a rainy day, but I had never stayed there–until this past weekend. Souzz and I arrived at the trailhead on Forest Service Road 92 on Saturday morning, heavy on food but light on everything else. We carried just a small butane stove, a first aid kit, headtorches, a small lantern, a water filter, a few extra clothes…and the frybake, which I carry with me at all times (in case somebody needs an emergency casserole). As for water, there’s a spring not far from the cabin, and we’d been told that the cabin was stocked with pots, pans, utensils, axes, a wood stove, and pretty much anything else we were likely to need. The hike in was steady uphill (1500 feet of elevation gain), but not too steep. 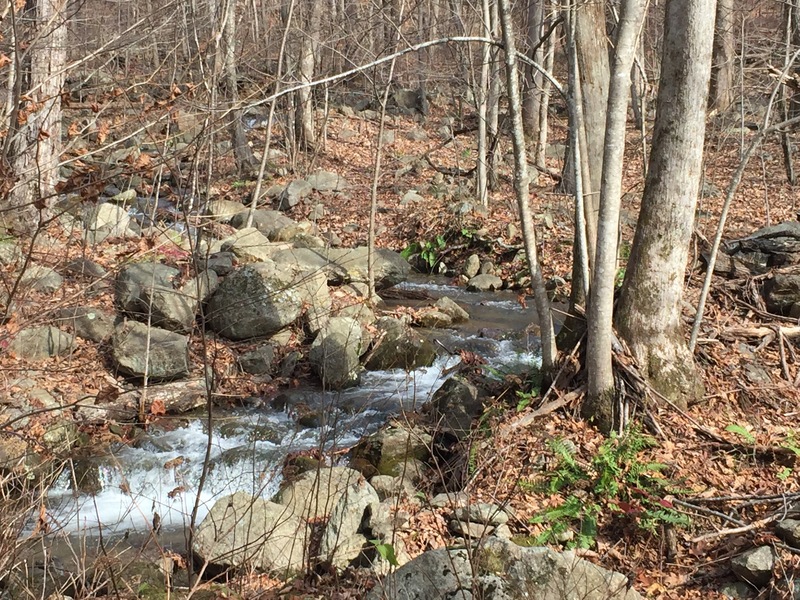 Little Stony Creek runs right along much of the trail, and there were some nice views as we got closer to the ridge. 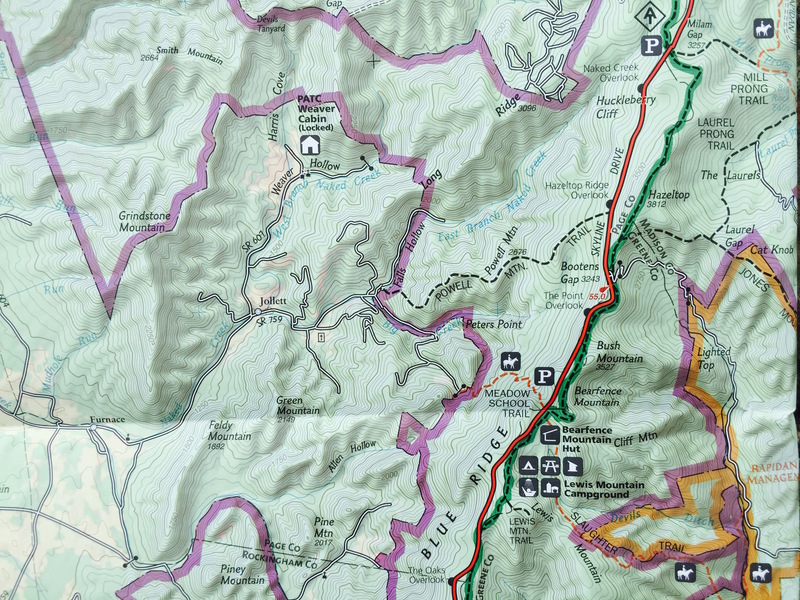 The hike seemed longer than three miles, suggesting that the map is wrong…or perhaps suggesting that most hikers don’t carry a 6-pack, a bag of charcoal, a mini-cooler, and a four course meal. The area has a deep history, including a moonshine operation in the 1930s, a tragedy in the 1950s (sadly, a scout leader got lost near here in in a winter storm), a lot of bear sightings, and even a pretty recent Bigfoot sighting. As for Bigfoot, a hiker wrote that his group was staying in Sugar Knob Cabin and saw “a dark, very hairy large face looking at us about a foot outside the window.” Hmm…that sounds suspiciously like just about everybody I’ve ever hiked with (except Souzz). Maybe what was seen through the window? lots of pots and pans! As for dinner, we started with cheese and salami, then moved on to steamed mussels and fresh-baked bread (from the frybake). The mussels appetizer was pre-cooked with tomato and garlic sauce by a company called Bantry Bay. We highly recommend this dish–but I suppose there is a carbon impact when one eats mussels from Chile sold by an Irish company while hiking in the Blue Ridge. All told, it did feel like a big foot print (so to speak). We followed the mussels with filet mignon, mashed fingerling potatoes, and green beans with mushrooms. It was great to eat next to the fire, and the weather was perfect. Are we ready to eat yet? 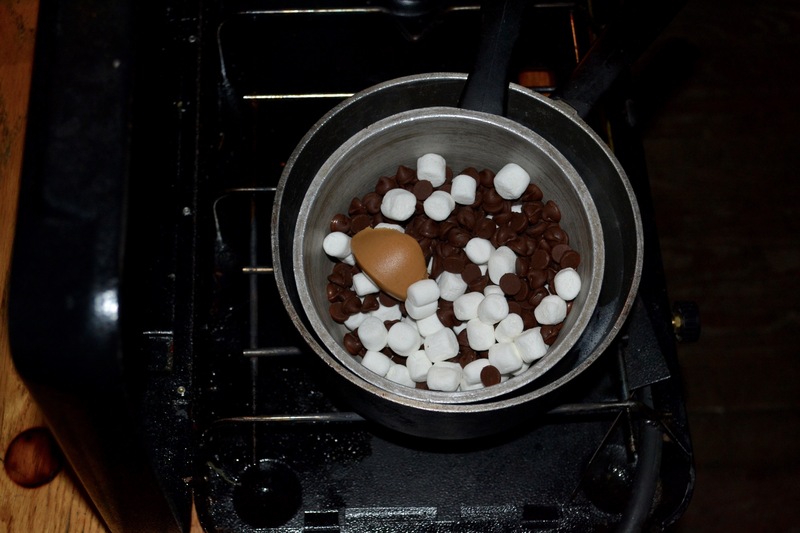 After dinner, we enjoyed the fire, made “break and bake” cookies in the frybake, and marveled at the beautiful starry night sky. As we soaked in the sounds of crickets and tree frogs, all was well in our world–until Souzz was startled by a huge, smelly, hairy creature tromping around near the cabin. I was just getting some more wood. So what exactly is a “regional” food, you might ask? (ok, you wouldn’t ask that, but just play along for the sake of the blog). 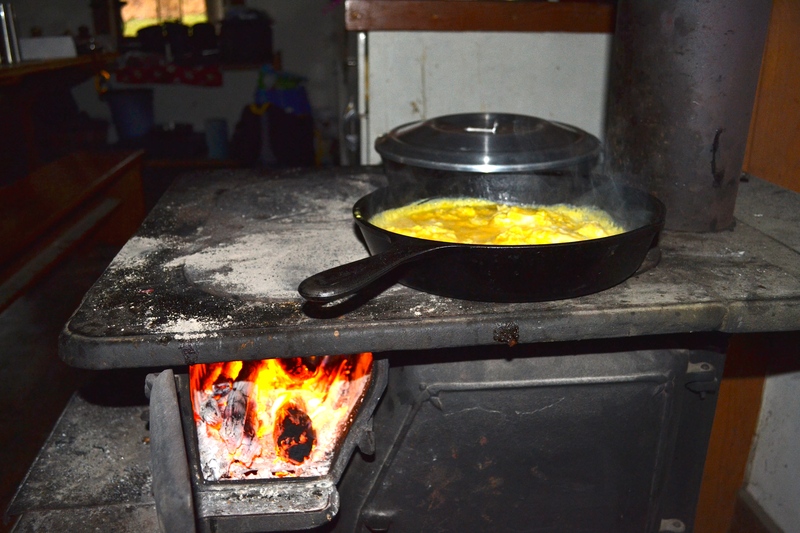 A food might be regional because of the availability of unique local ingredients, because of a particular need in the local population, or perhaps because early settlers brought along their favorite recipes. 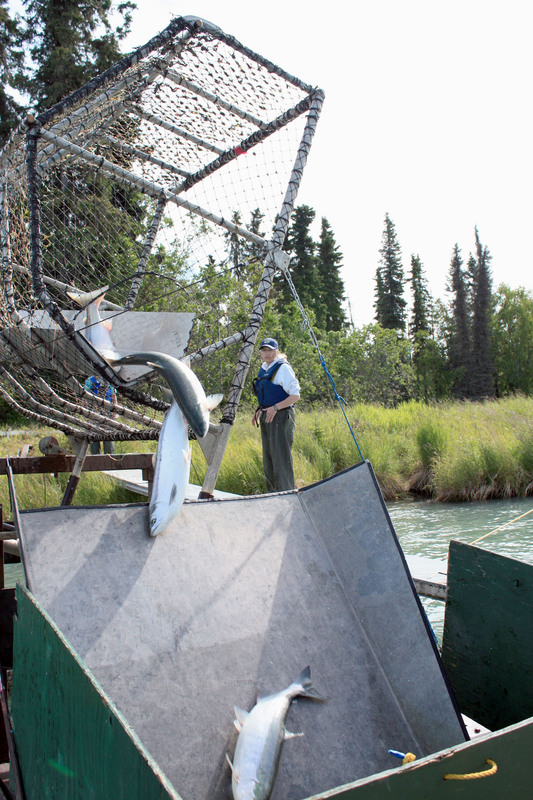 Alaska’s salmon (locally available) fits the first description, Michigan Upper Peninsula’s pasties (perfect for taking into the mines) the second, and North Dakota’s fleischkuekle (brought over from Germany) the third. Whatever the origin, regional dishes add a lot of flavor to our travels. This weekend we visited Pennsylvania Dutch country and we stayed over at another of PATC’s amazing cabins, Milesburn. It was built in 1930 and is very well maintained, one of the more memorable PATC properties. On the way we visited Gettysburg Battlefield, which I would highly recommend. I’m not really much of a Civil War buff, but the National Park Service has done a nice job of creating self-guiding tours and the park itself is full of live Civil War re-enactors as well as sculptures and statues. Nearly 50,000 soldiers were lost on the battlefields of Gettysburg over three days in July of 1863–hard to imagine. We also visited Gettysburg National Cemetery, site of Lincoln’s Gettysburg address and the final resting place for more than 3500 Union soldiers. It is a powerful place. 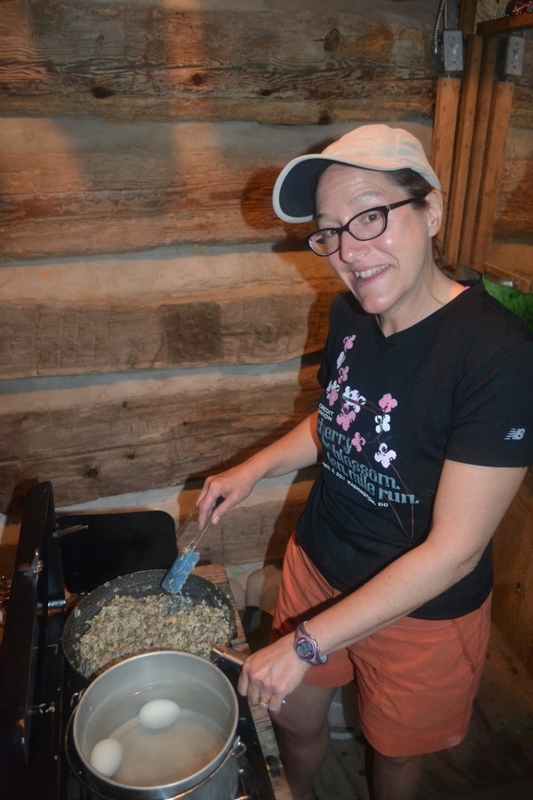 As we planned our visit to Gettysburg, we briefly considered a weekend menu featuring foods that were typical for Civil War soldiers—more historical foods than regional foods. 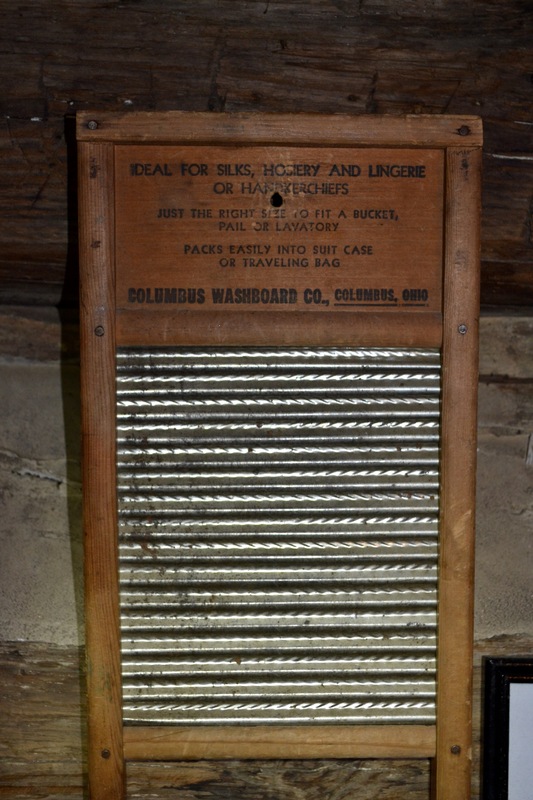 And then we read that Civil War rations included hard tack, dried pork, and “dessiccated vegetables.” Never mind. 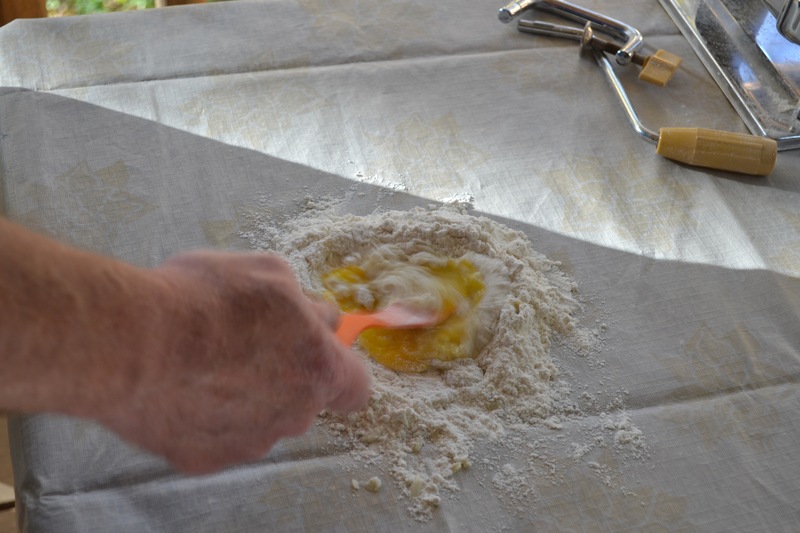 As for regional cuisine, one of the classic Pennsylvania Dutch recipes is Bova Shankel–a pierogi-type dish of potato dumplings and sauce. Literally translated from German, it means “boy’s legs,” which sounds totally disgusting–right up until one imagines eating dessiccated vegetables. Whatever you call it, Bova Shankel is a delightful dish that deserves exposure well beyond south central Pennsylvania. The filling included potatoes, onions, celery and parsley, and the dish is served in a sauce of butter and milk. 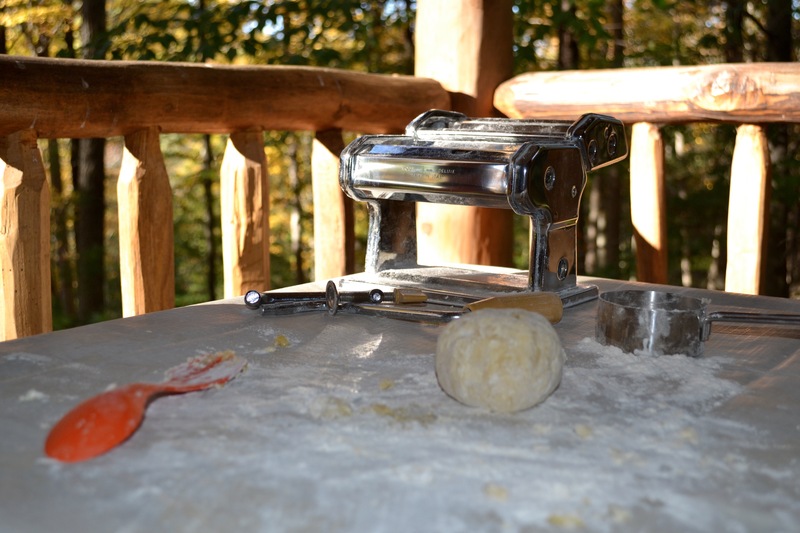 We made both the dough and the filling ahead of time, so prep wasn’t too hard at the cabin– just a quick assembly and then boiling for 30 minutes. We served it with salad, German-style pork sausage, and beef soup. Supposedly there is a different soup for just about every day of the year…and April 9 seemed like beef to us. On the drive home we spent a little time talking about our favorite regional dishes (hey, it beats auto bingo). Souzz raved about a rhubarb pie that she bought at a gas station in Tower City, North Dakota (seriously), while for me it was probably the boiled peanuts we picked up in South Carolina. Dessiccated vegetables didn’t make either of our lists. Our friend Reto stopped through Virginia this weekend on his way back to his native Switzerland. 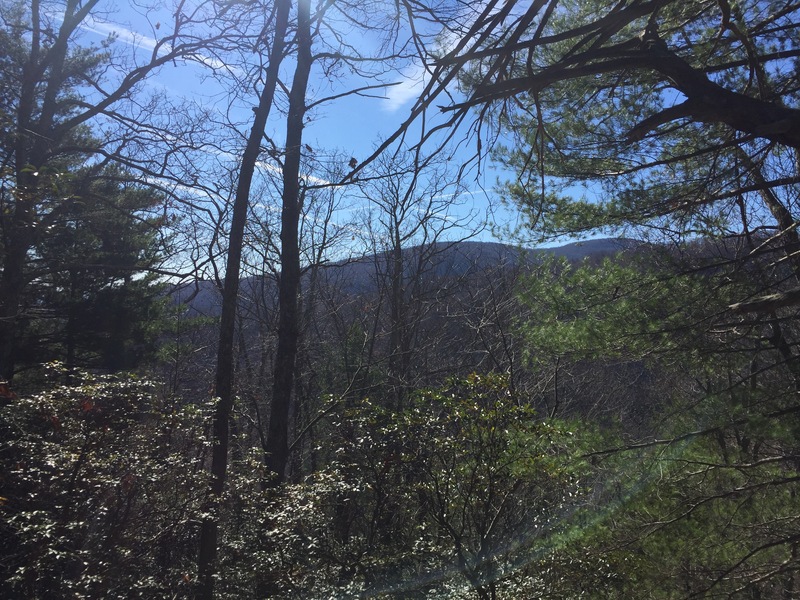 As his home country boasts some amazing scenery, we were a bit surprised that he was interested in visiting the Blue Ridge Mountains during his stay. That was fine by us, though, and we had a nice little chalet in mind just a few hours to the west. The word chalet was coined by the Swiss in the late 1700s, and it referred to the mountain huts of cattle herders. Traditionally, herders would bring dairy cattle up from the Swiss lowlands to graze during the summer months, and they would often make butter and cheese during their stays. Nowadays the word has been co-opted and chalet can pretty much mean any vacation house anywhere, maybe even a PATC cabin. 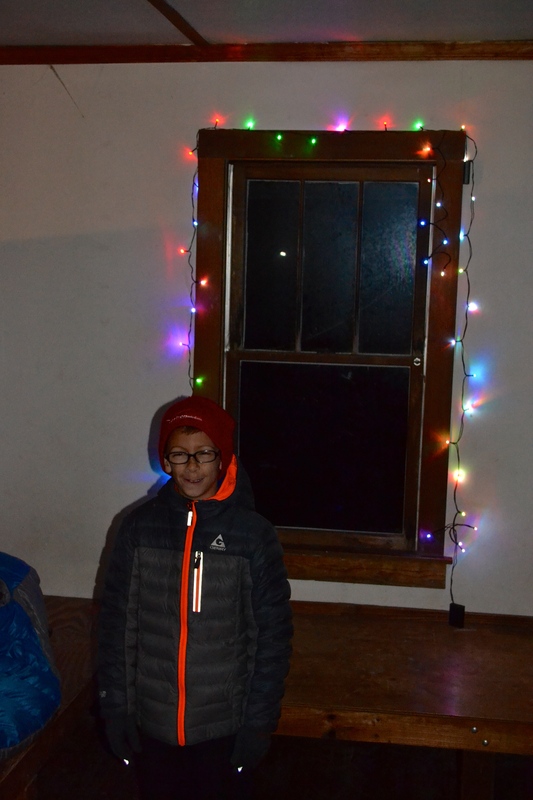 Our chalet of choice was Tulip Tree near Luray, a chalet with no power or water–probably a lot like some of the early chalets in Reto’s home country (but without the cows and fresh dairy). Tulip Tree is located in a valley just below Shenandoah National Park and is ordinarily easily accessible by a small dirt road. But it had snowed 2 feet last week, so there wasn’t anything ordinary about that road. We parked at the nearby Morning Star Lutheran Church (asking permission first) and backpacked our way in the last mile and a half. The weekend’s fare was decidedly Swiss-American, with dishes like Sante Fe chili and buffalo wings bookended by a braided Swiss bread called zopf, cheesecake, and the centerpiece of the meal, Zürcher Geschnetzeltes. 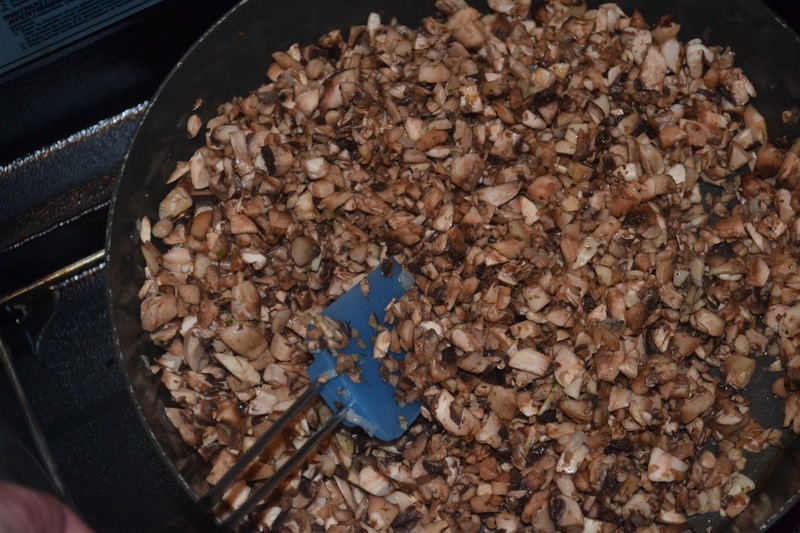 The latter is a cream sauce with beef and mushrooms served over Spätzle. 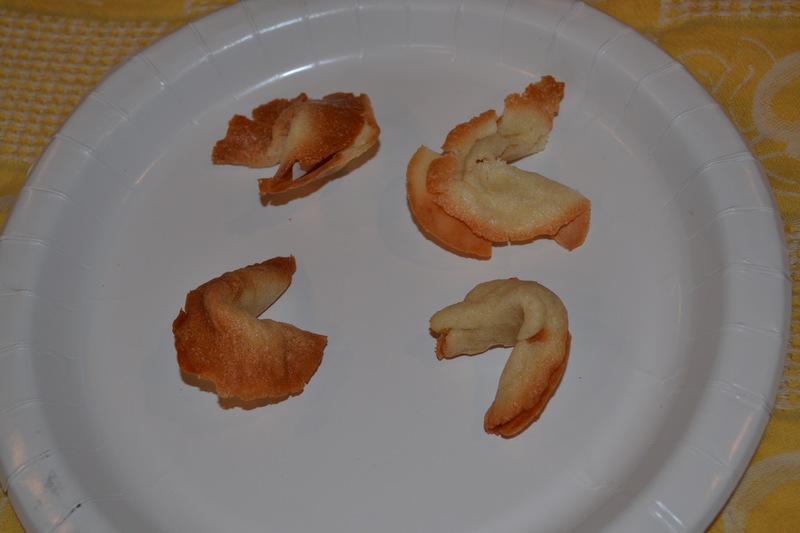 Not only did we learn how to cook a few new dishes, we learned how to mispronounce a few new words, too. 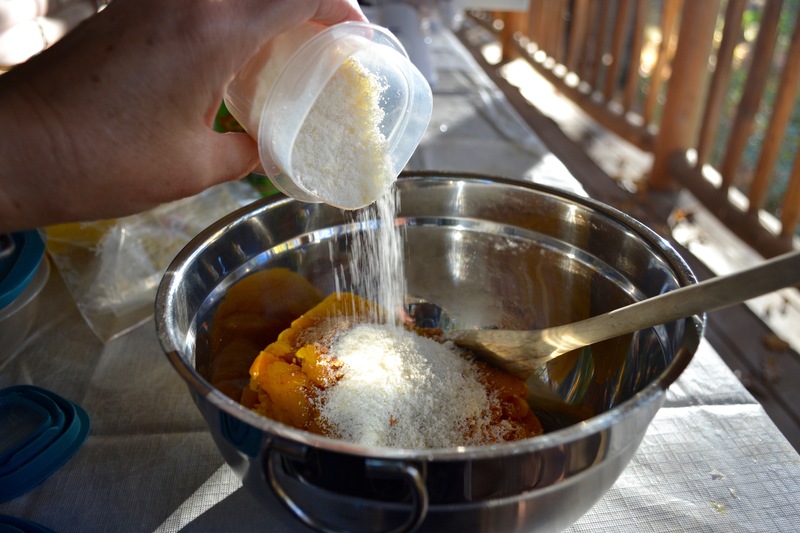 For the zopf, Reto had carried a bag of flour all the way from Switzerland, so the pressure was on. It was a bit tricky to make, but Reto schooled us on the finer points and we stacked two frybakes top-to-top to create an oven. For a fleeting moment, I felt like a herder. For the next two days we snowshoed around, we gathered wood, we cooked, we swapped stories, and we enjoyed being out of cell phone range. While the Blue Ridge is clearly not the Alps, Reto did share how difficult it was to find areas in Switzerland without cell access. It’s easy to forget how big a geography we have in this country, as Virginia is actually more than twice the size of Switzerland. Of course, Switzerland has a few other things going for it, like mountains that soar to 15,000 feet, beautiful mountain chalets with stunning views (and power and water), and friendly folks like Reto. At least that’s what I herd. 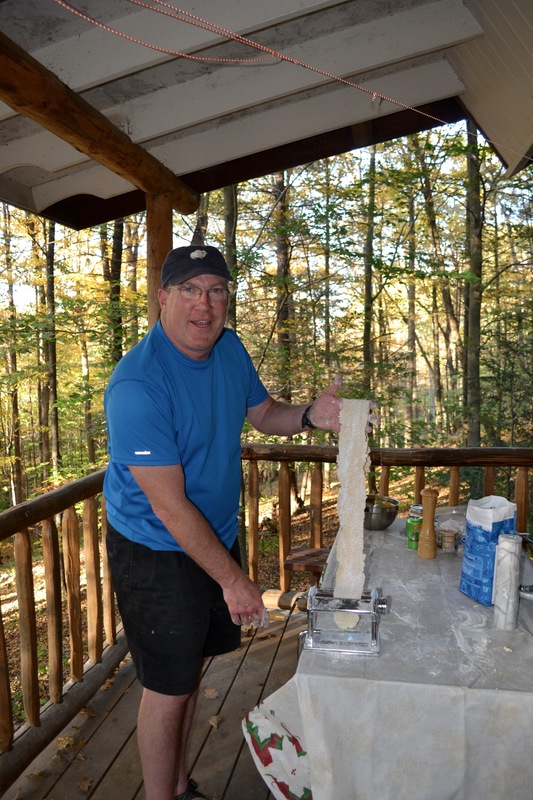 Another weekend, another PATC cabin visit–or so it seems. And while that may look like a pattern of sorts, it’s really not—as each of the PATC cabins are so incredibly different. 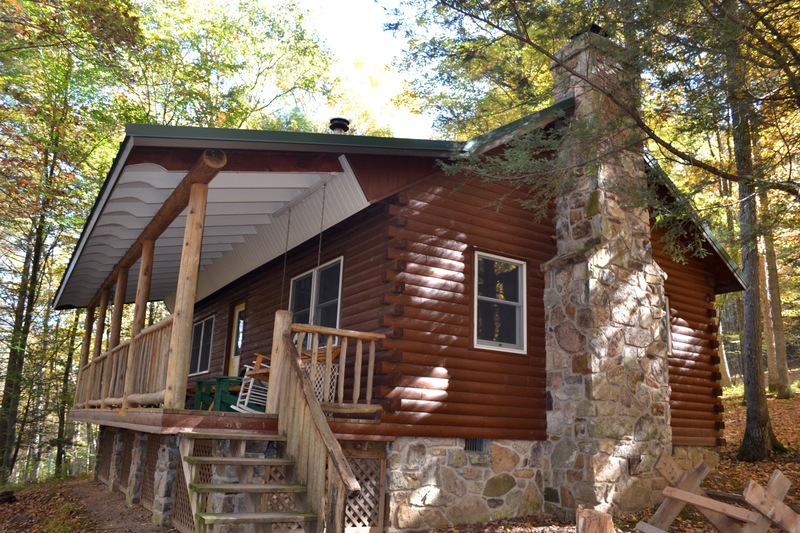 This weekend’s destination is Olive Green Cabin in Cunningham Falls State Park near Thurmont, Maryland. 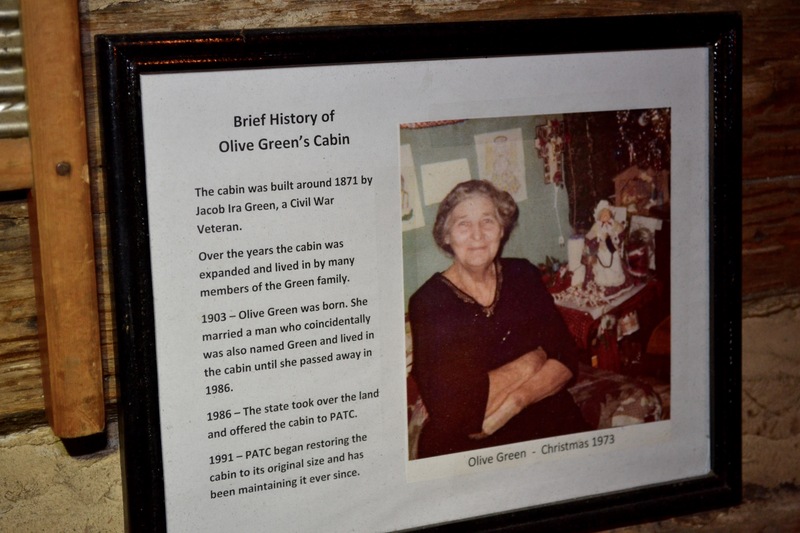 Olive Green cabin is named after its last resident, Olive Green (duh! ), whose father built the cabin in 1871. 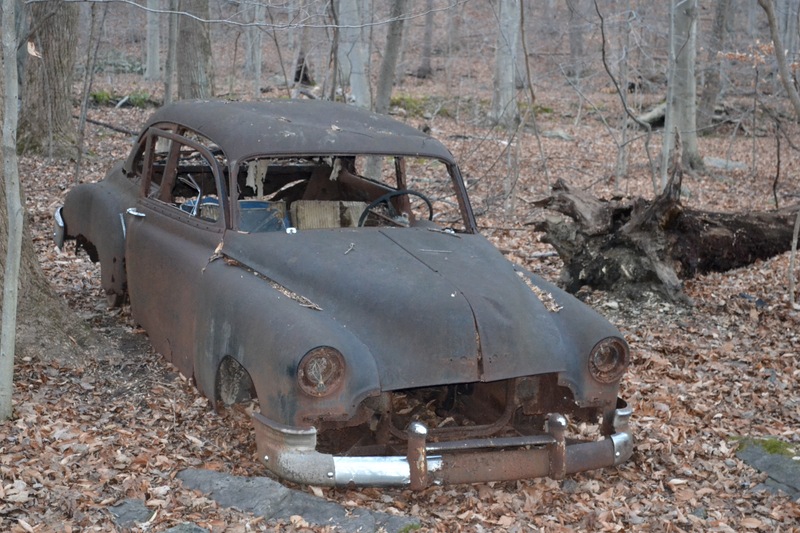 There is a ton of history here, with a rusted old car and a bunch of stone fence lines that hint at stories of days gone by. Olive lived in this simple two story 15×15 structure until 1986, when she was 83 years old. She raised eight kids here, despite no sink, no counters, no power, no water–and not much insulation, as I soon learned. As for the present day, the cabin is very well maintained and much appreciated by its visitors. 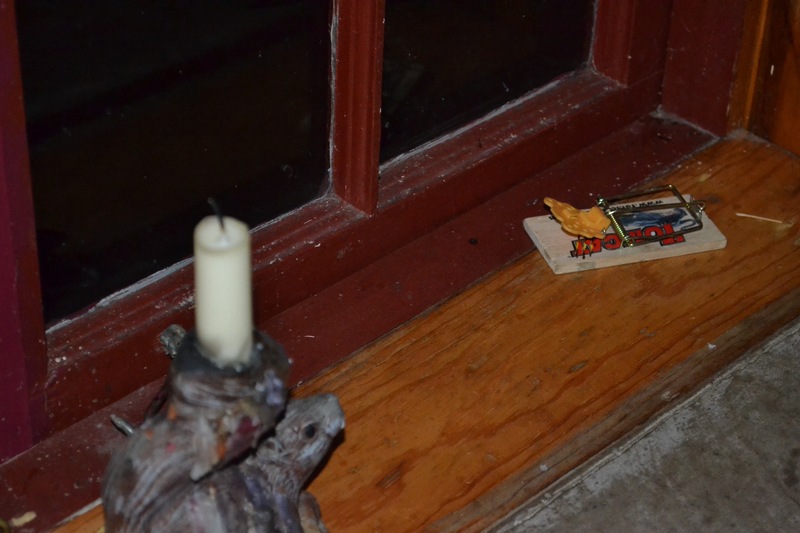 Its guest book is also full of references to strange noises in the dark of night, which most of the prior guests credit to Olive and say that they find comforting. With Souzz out of town, I am flying solo tonight, so I’m not interested in a lot of company. 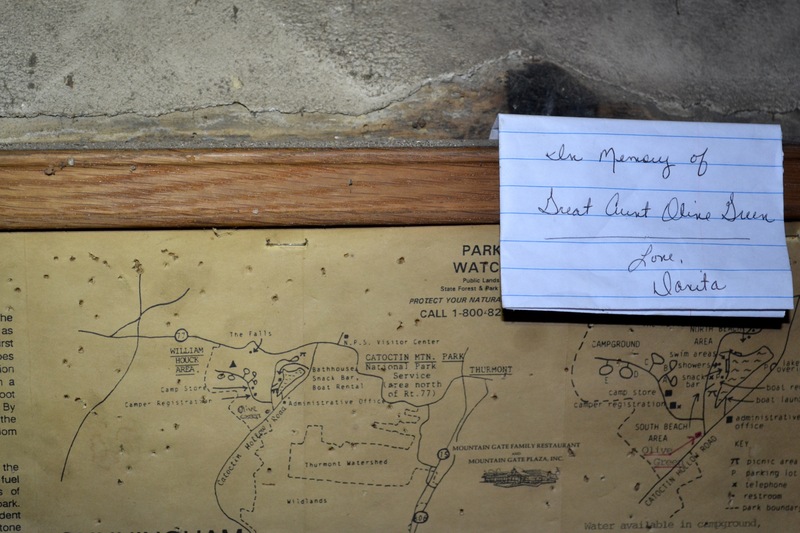 In any case, there are a lot of reminders around the cabin about Olive, including notes from relatives that still visit regularly. Olive sounds like she was an amazing woman, and she was apparently a gracious host that always fed her guests with a home cooked meal. 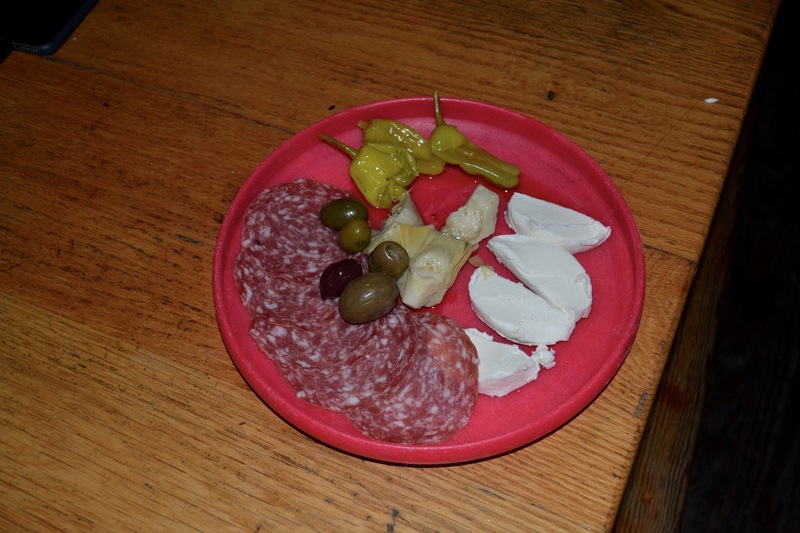 I hope she’d be pleased with my menu: antipasta, spaghetti and meatballs, brownies, and grishgroom. So here’s the backstory. 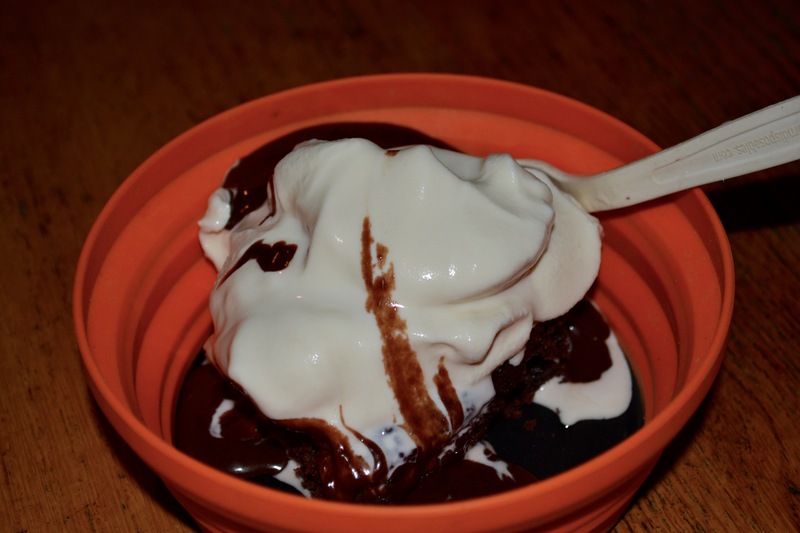 When I was a kid in Rapid City, South Dakota, my enterprising older sister and my two older brothers had a favorite dessert: ice cream with chocolate sauce. It was generally served in a bowl on a TV tray while watching The Man From U.N.C.L.E. or Mannix on a Zenith black and white TV that took about two minutes to warm up. 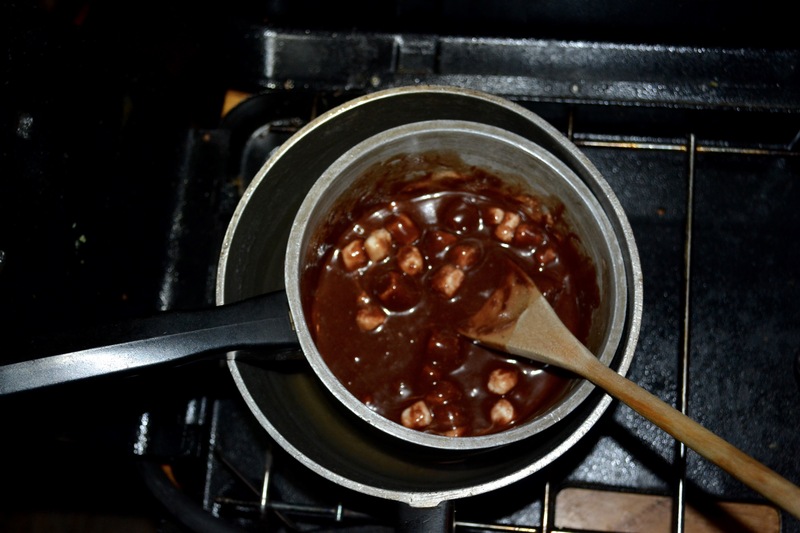 The chocolate sauce recipe was one that my mom basically made up (marshmallows, chocolate chips, evaporated milk, and a dab of peanut butter). As older siblings sometimes do, my sister and my brothers convinced me that this dessert wasn’t called “ice cream with chocolate sauce” but instead was called “grishgroom,” and that word then entered my ever-expanding vocabulary. My sister told me later that she just made it up (shocking, I know). That’s me in the stylish shorts, thinking about grishgroom, no doubt. Some time later, when I was about five years old, we were enjoying a rare dinner out as a family. After the meal, my sister and brothers made a recommendation for my dessert order as they pointed to a menu that I couldn’t yet read. To this day, I’m not sure what is more memorable: my parents’ confused stares, the blank expression of our server, or the belly-laughing convulsions of my siblings. If the fist bump had been invented by then, I’m pretty sure that my sister and brothers would have had to ice their hands on the way home. Last year over the holidays, I shared the story of grishgroom with my nieces on Souzz’s side of the family. As you might expect, they enjoy any story that makes their uncle look like a dork (time is of course the limiting factor here). Armed with their new vocabulary, they marched into the living room and announced to their parents that they were going to serve themselves up some grishgroom. 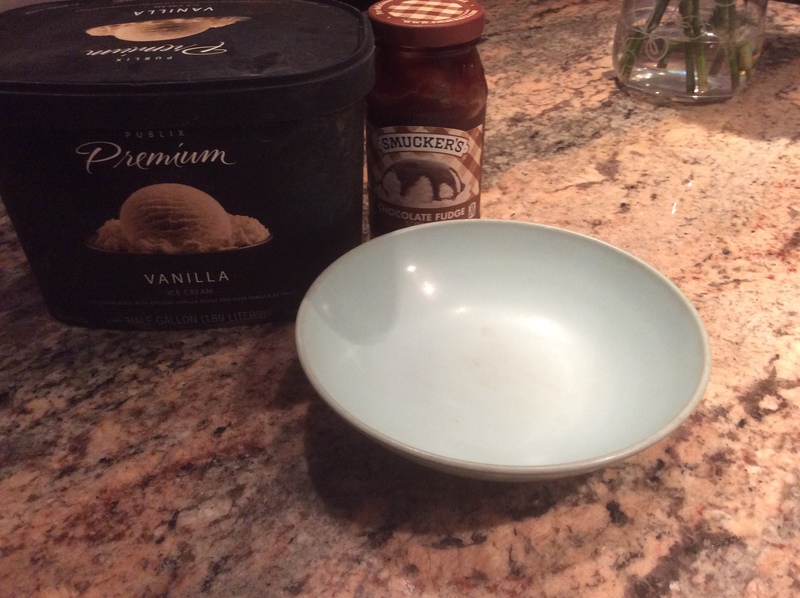 That led to a few confused nods from the adults, and then the nieces returned with giant bowls of ice cream–not exactly what a parent wants to happen after dessert at 10:30 pm on Christmas Eve. It’s fair to say that my in-laws weren’t as amused as my siblings about grishgroom. Somewhere out there is a retired server nodding in agreement. My sister still has the original grishgroom bowl (but thankfully, no sign of the tv trays). My birthday was last weekend, but Souzz was out of town so we postponed the celebration by a week. That means I’m technically seven days younger–and I feel so much better that I am considering postponing future birthdays entirely. Add in the fact that I was born in Japan, which is across the International Date Line, and I’m pretty sure I’m still a teenager (well, at least emotionally). 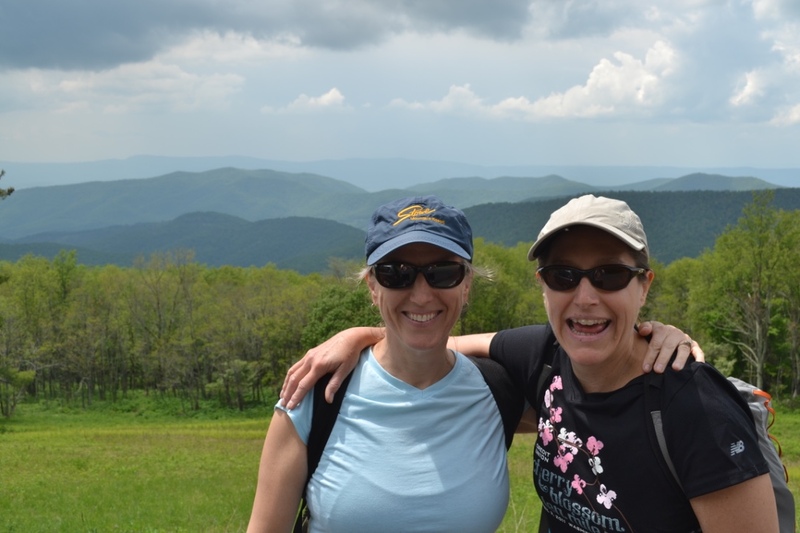 Calendars aside, this year’s birthday outing took us to yet another of the Potomac Appalachian Trail Club‘s fabulous cabins. This time we headed to John’s Rest, near Stanardsville in central Virginia. John’s Rest is on 240 private acres adjacent to Shenandoah National Park, and it’s one of the nicer primitive (no power or water) cabins in the PATC system. The cabin is a short hike in to a great setting with a beautiful little stream (Entry Run) trickling right in front of it. We took backpacks to haul in our hundreds of pounds of lightweight gear. It turns out that pad Thai has a tie in to Thai nationalism (yes, I really did write that sentence). So here’s the story: in the late 1930s, Chinese wheat noodles were very popular in Thailand—too popular in the eyes of Thailand’s Prime Minister, who was trying hard to reduce the influence from nearby China. The government launched a big campaign to promote rice noodles, and the rice noodles used in pad Thai–called sen chan–were born. With history behind us, we spent the day hiking a great circuit up past the PATC Rosser Lamb Cabin and then up onto a nearby ridge. We both agreed that November is a great time to be out. While it’s a bit late for the fall colors, there were no crowds at all and the bare trees revealed sights that one can’t see most times of the year. 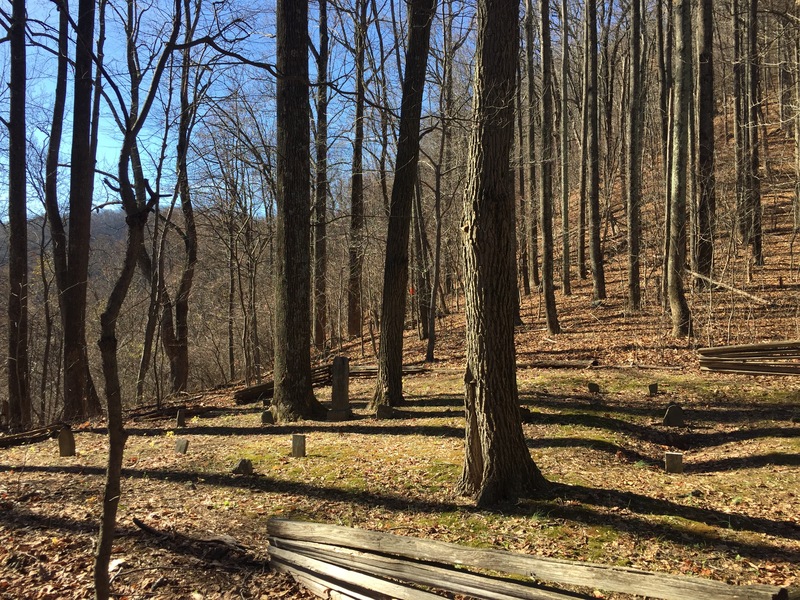 The highlight of the hike was a visit to the Lamb family cemetery, nestled among the trees in the saddle of the mountain above Pocosin Hollow. The Lambs were one of the first families to settle in Green County, and the headstones date to the 1800s. The cemetery was free of leaves, having been recently raked, and it is clearly still an important destination for the family. It was interesting to try to imagine the lives that these people lived–especially later in the day as we hauled water and nursed sore muscles from splitting wood. 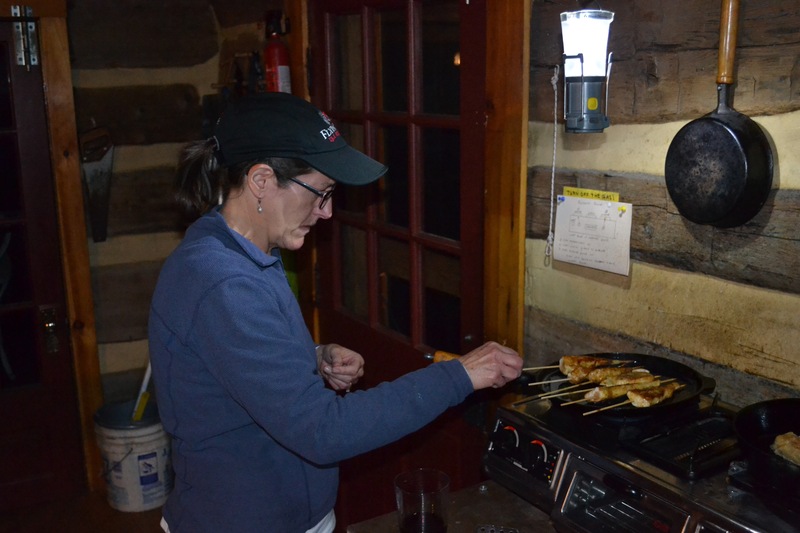 As for dinner, we got great use out of the propane stove, a rare luxury at a PATC cabin. 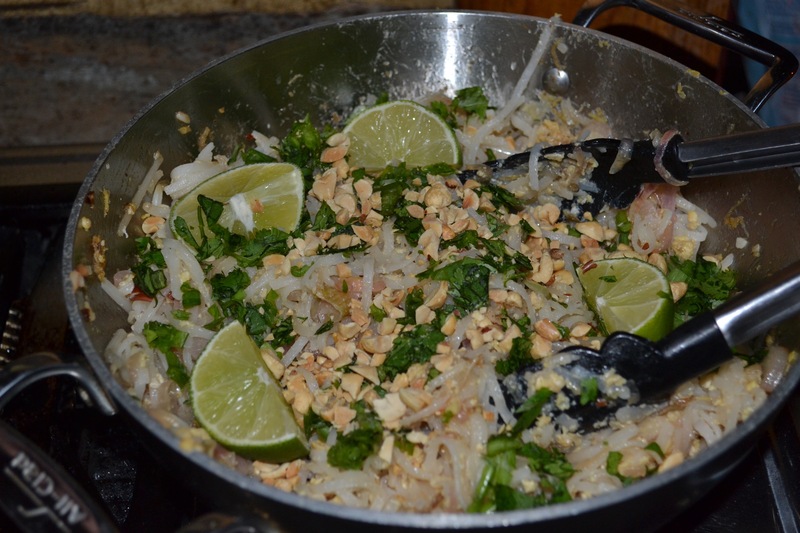 For the pad Thai, we included shrimp along with the traditional noodles and sprouts, and we were glad that we’d carried in a good pan (PATC cabins provide basic cookware, but not much in the way of fancy woks, go figure). 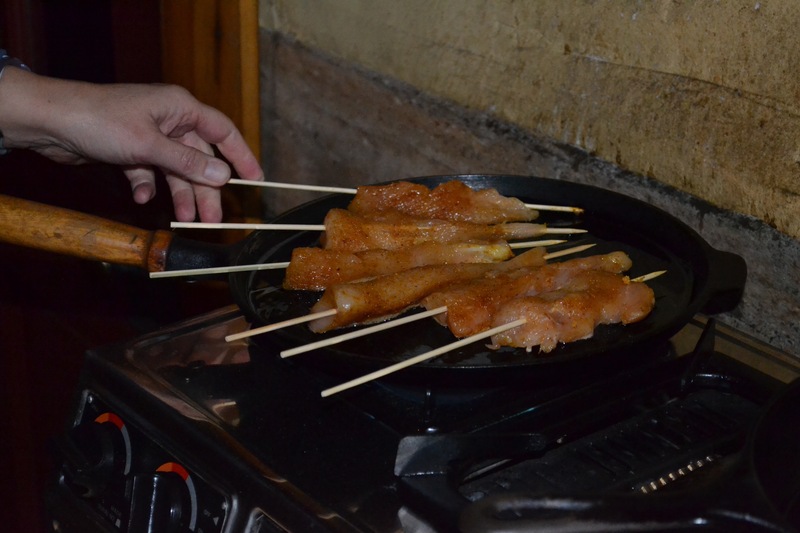 We seasoned the chicken satay with Pensky’s sate spice and we served the satay with peanut sauce. 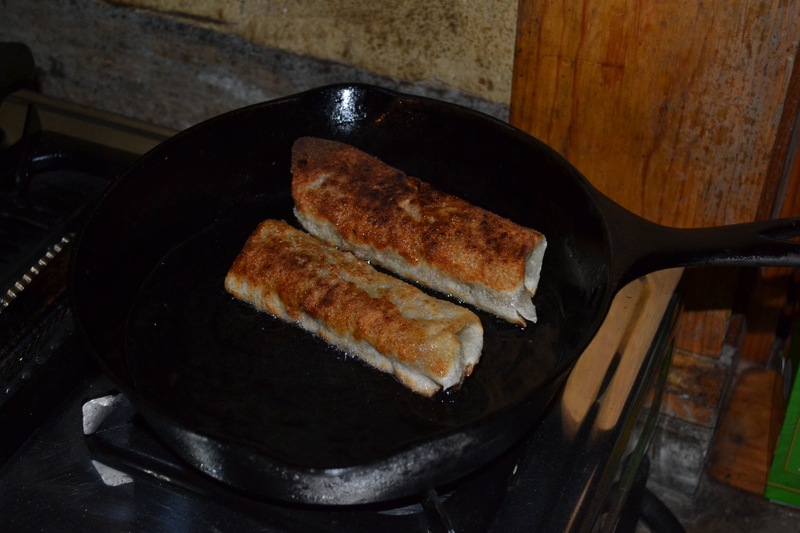 We made the filling for the egg rolls ahead of time, but fried the rolls in peanut oil at the cabin and they came out crispy and hot, just right. Souzz and I drove a few hours west this weekend to a “dry” cabin (no running water) for a quick fall getaway, and we’ve decided that cabins are the perfect place to push the envelope on food options. Picnic tables and covered porches combined with crisp fall air create a lot of dinner inspiration. And as long as one brings the right gadgets and enough fresh water for clean-up, just about anything is possible. 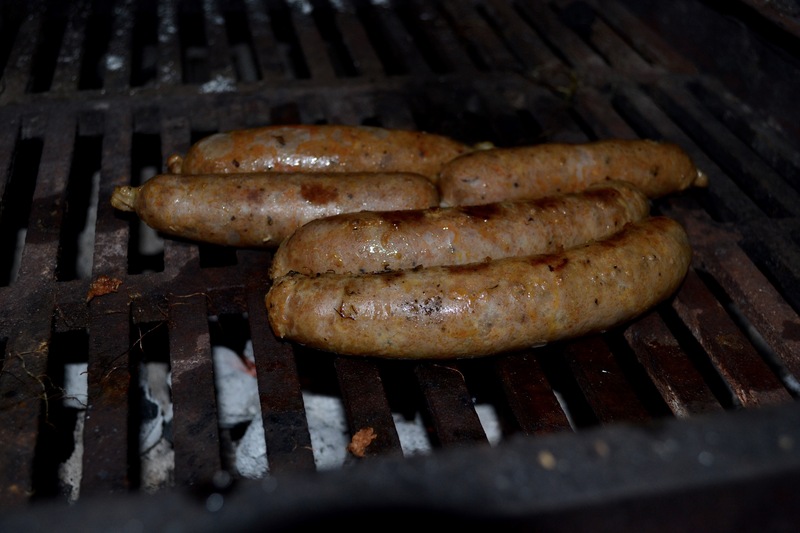 As we mulled over menu ideas ahead of the trip, Souzz’s mom suggested an Octoberfest theme–which somehow led to stumbling into quotes from folks as diverse as George R. R. Martin, Otto von Bismarck, and Mark Twain about the unlikely topic of sausage. 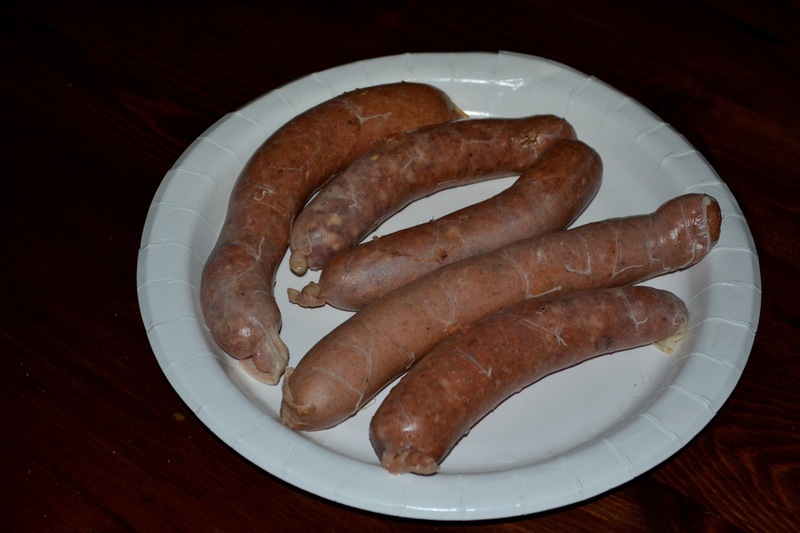 In most every case, the general theme was that you may want to eat sausage…but you definitely don’t want to see how it’s made. If that describes you, then stop reading now. 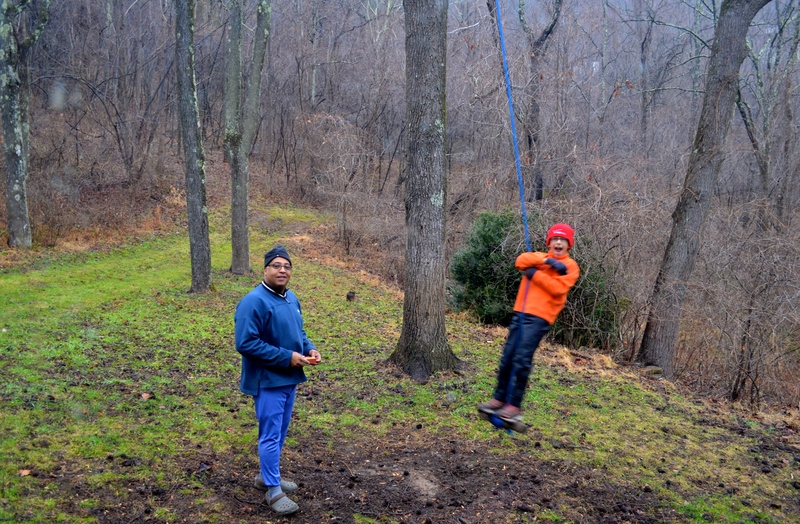 The weekend’s destination was Silberman Trail Center in south central Pennsylvania. 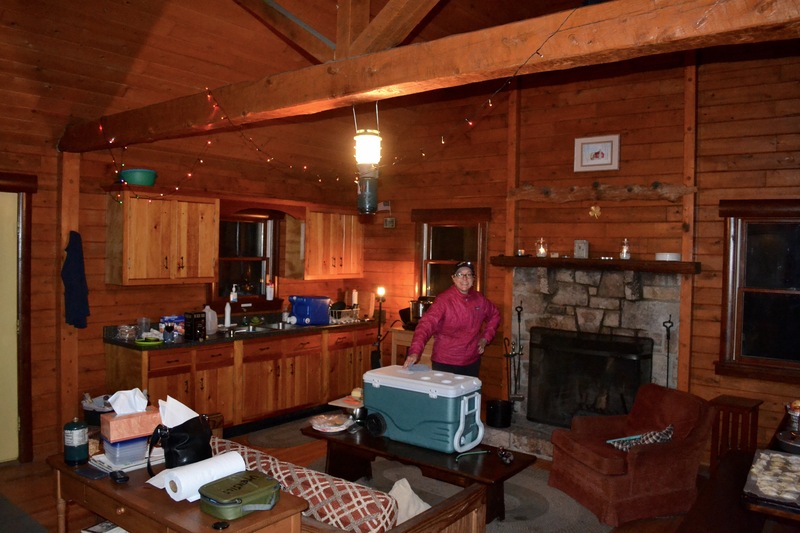 Like many of the Potomac Appalachian Trail Club (PATC) properties, Silberman Cabin has no power or water–but it does have plenty of prep space and a kitchen with lots of pots and pans. 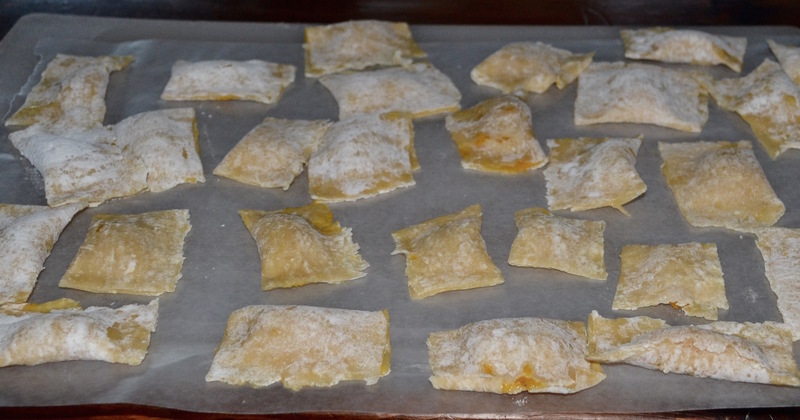 The plan was to make sausage from scratch, as well as a favorite Italian pasta/pumpkin dish called tortelli de zucca (complete with home-made pasta). 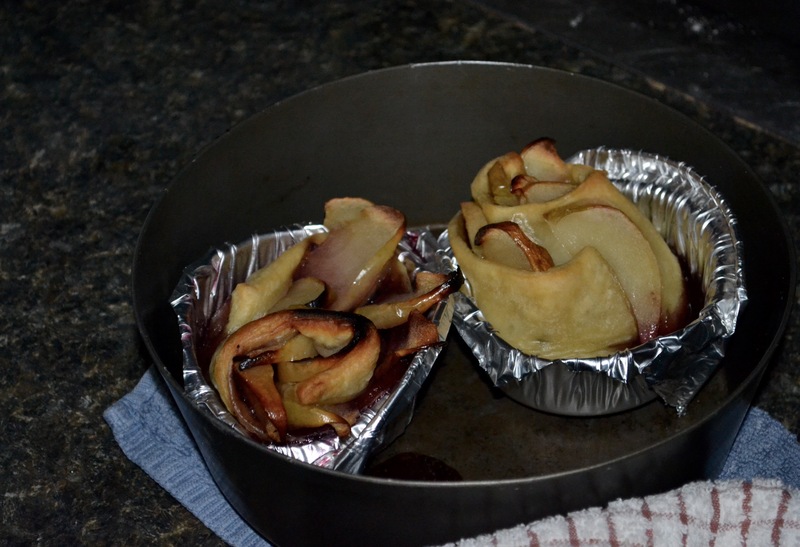 We also had salad and fry-bake bread on the menu, and a dessert recipe that is trending on Facebook right now called Baked Apple Roses. 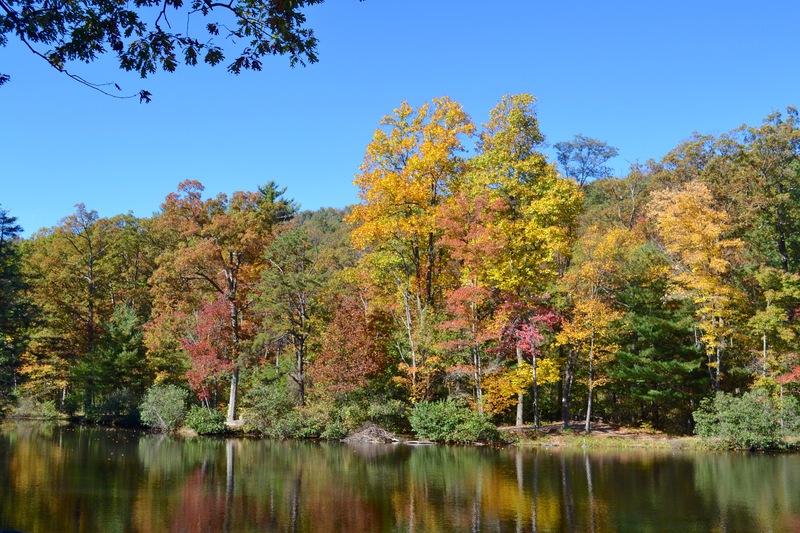 We stopped at nearby Cowans Gap State Park on the way, which offered up beautiful fall colors (maybe only a week away from peak) during a great hike where we worked off some of the calories to come. The hike alone was worth the trip! Then it was on to the cabin and off to work on dinner. Souzz relaxed for a bit on the covered porch while I started the process of grinding and seasoning pork shoulder, mixing in fat, and then stuffing the resulting mixture into casings. Thankfully, after seeing my futility, Souzz was compelled to jump in, too. 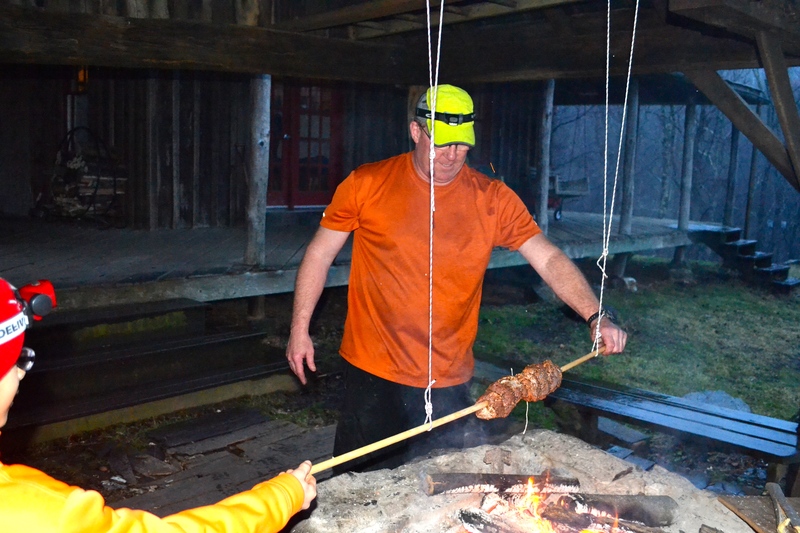 While sausage making is totally worthwhile, it was a somewhat messy project that was sure to take away one’s appetite…until the actual sausage was cooked and served, of course. It also turns out that sausage making is a process that could probably make the Queen of England crack a naughty joke (if you bring your toddlers to London to share a kitchen with Her Majesty, choose a different dish). 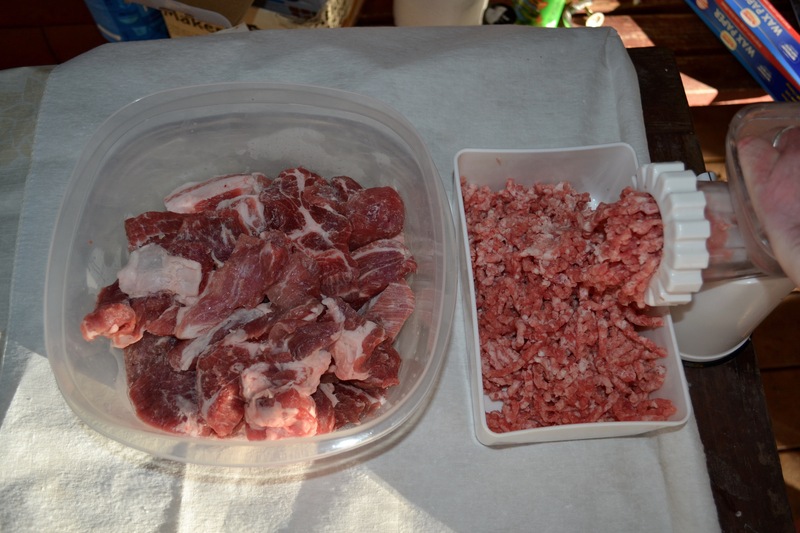 Based on a sample size of one, it seems that the key things are having the right equipment (until two days ago, I didn’t even know there was such a thing as a sausage stuffer), the right mix of meat/fat/salt, and the right temperature for storage (the meat should be super-cold before grinding). It probably also helps to bring along the right attitude, as a few things will always go wrong (and did). 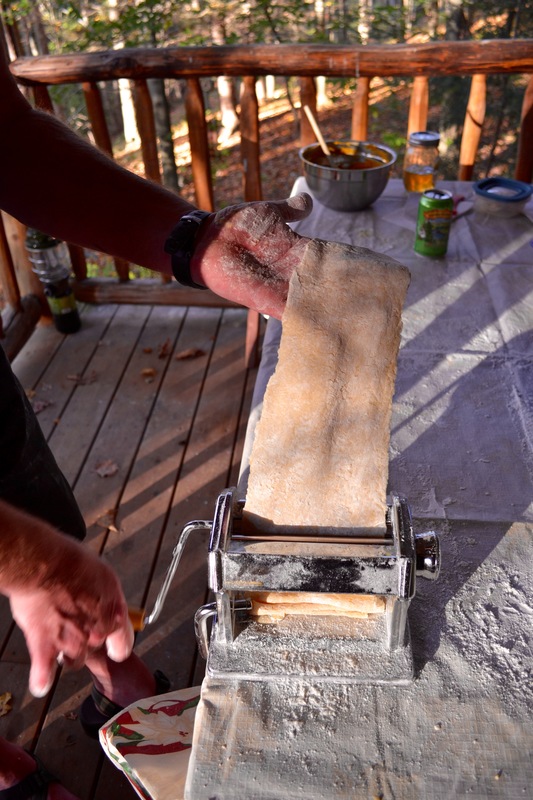 With the sausage making complete, next up was the pasta. 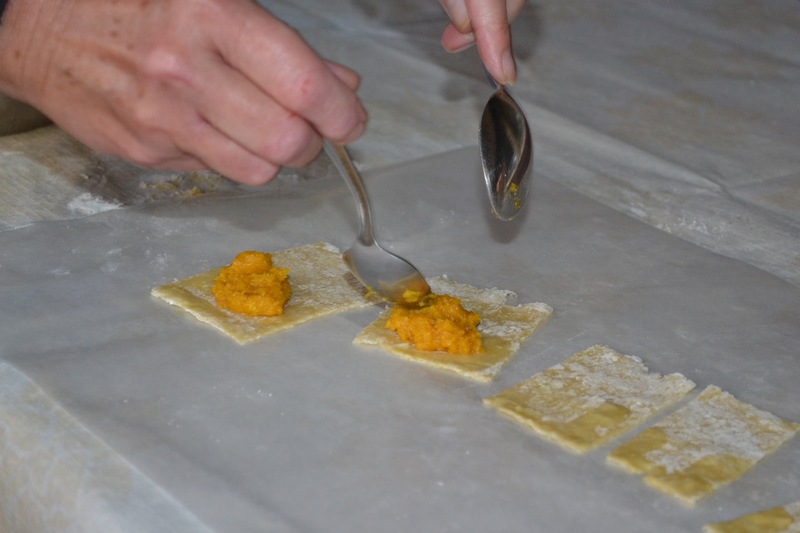 With a pumpkin filling, tortelli de zucca is a popular fall treat in northern Italy. 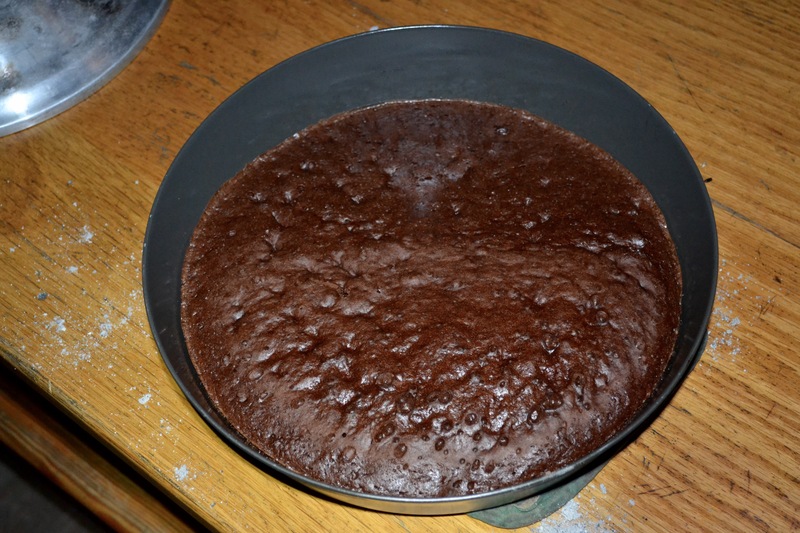 Granted, it’s a colossal effort to prepare, but it’s also a colossal delight to eat. 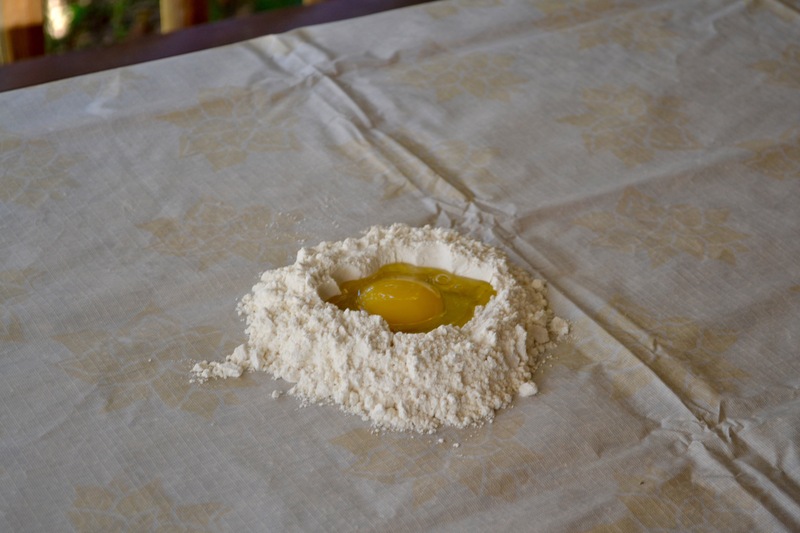 This is a dish that we make a lot at home, and it’s a favorite recipe by way of our friend Ivano, who lives in Mantova, Italy. 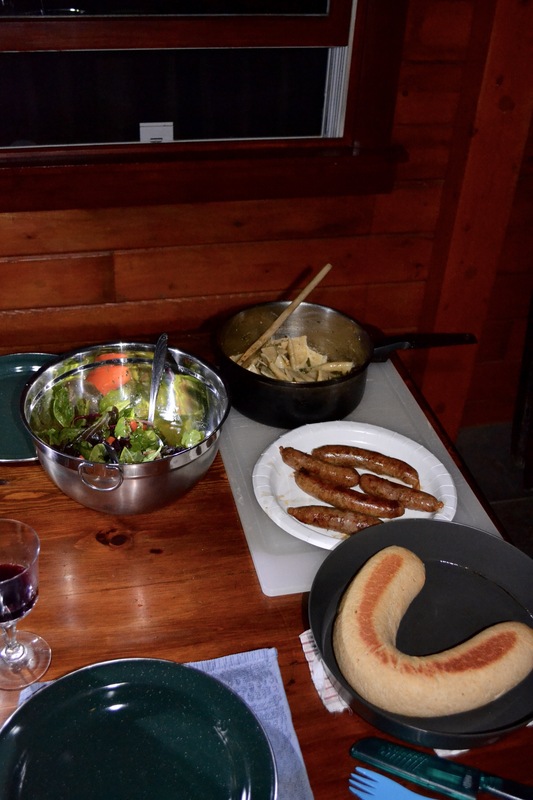 As with the sausage, we did the prep on the porch on a picnic table over a plastic table cloth. 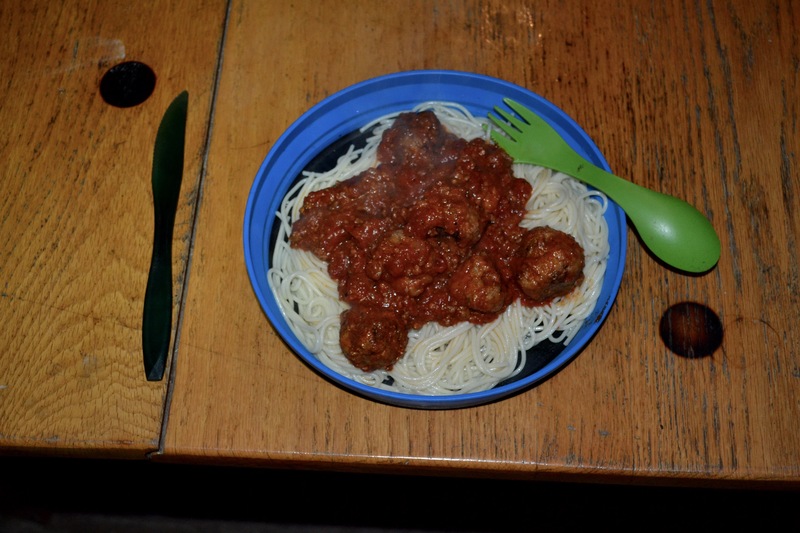 This kept the m ess to a manageable minimum–although, it turns out, not so manageable that a pasta-loving raccoon didn’t pay us a visit. 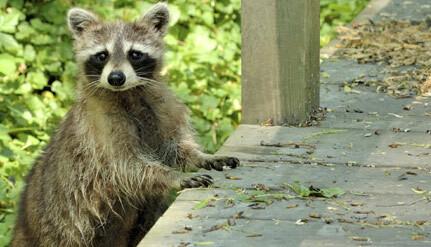 We named him Ricardo, and he left our place hungry. If you find yourself in the mountains of Pennsylvania any time soon, watch your pasta. 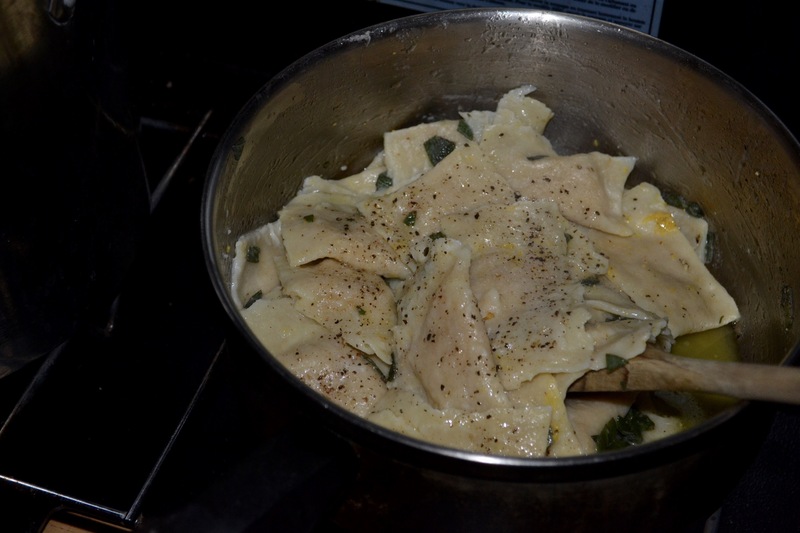 When it was time to eat, we par-boiled the sausage for a few minutes before cooking it over charcoal, and we boiled the tortelli for just a minute and a half before topping it with butter, olive oil, fresh sage, grated parmesan, and fresh pepper. The sausage was flavorful and was cooked about right, a nice first effort, and the tortelli (and the bread and salad) were good, too. All in all, it seemed like a meal fit for a queen (and hopefully a queen with enough decorum not to make sausage jokes during Grace). Oh, and lastly, the Apple Rose dessert was, umm, totally forgettable–suggesting that choosing a dish based on what is trending on Facebook might not be the best idea. 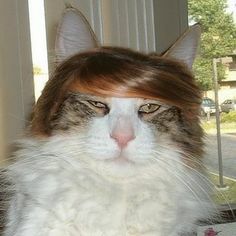 After all, Face book is the land of Candy Crush, cats with Donald Trump hair-dos, and an app that tells you what kind of office supply you would be (I got stapler). From now on, we are taking our menu recommendations from Bon Appetit. This weekend we did a quick overnight trip to Humphrey Cabin, a Potomac Appalachian Trail Club property near Elkton, Virginia. Souzz’s cousin Maureen joined us, as well. Mo and Souzz were born just days apart, grew up as besties, and are frequent partners in crime to this day. Add in Mo’s high energy and wacky sense of humor and you have a recipe for a fun weekend! Since I am temporarily hobbled by an ankle injury, I offered to serve as a shuttle driver for their day hike on Saturday afternoon. So I dropped the cousins off at the Hazeltop Ridge Overlook at 3,265 feet on Skyline Drive, at the start of the Powell Mountain Trail. The plan was to circle around and pick them up at the base of the mountain (elevation 1400) after a 3.5 mile mostly downhill hike that ends near the cabin. 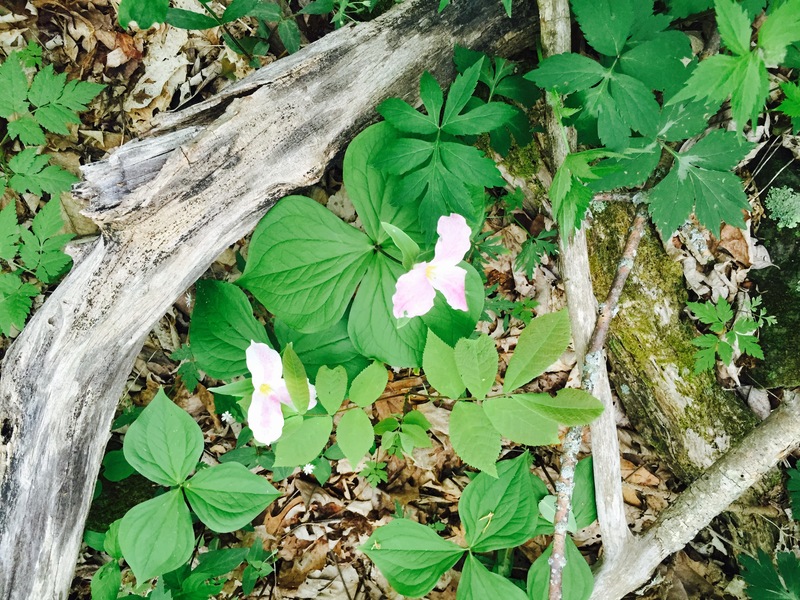 Despite intermittent rain, Souzz and Mo had a nice hike, saw a lot of wildflowers (trillium dots? 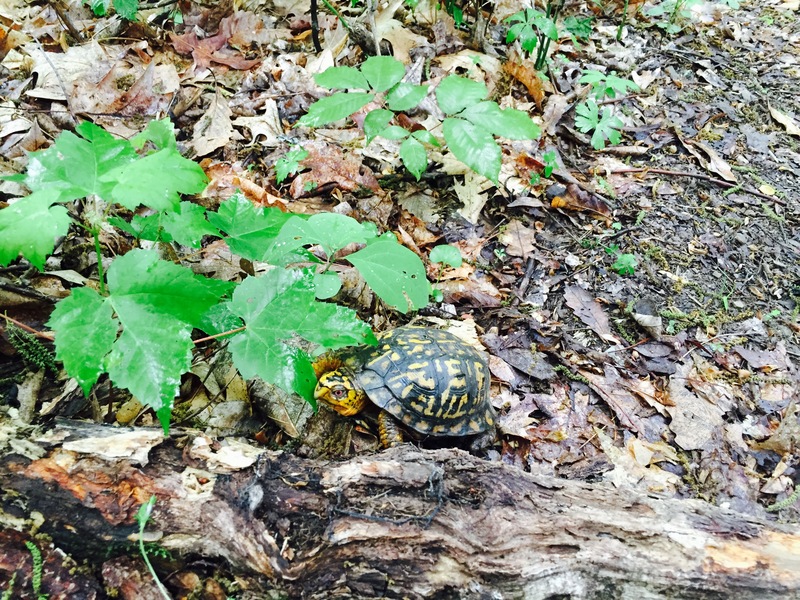 ), and happened upon an eastern box turtle. I met them at the lower Powell Mountain trail head on Jollett Road, and from there it was a quick drive to the cabin. 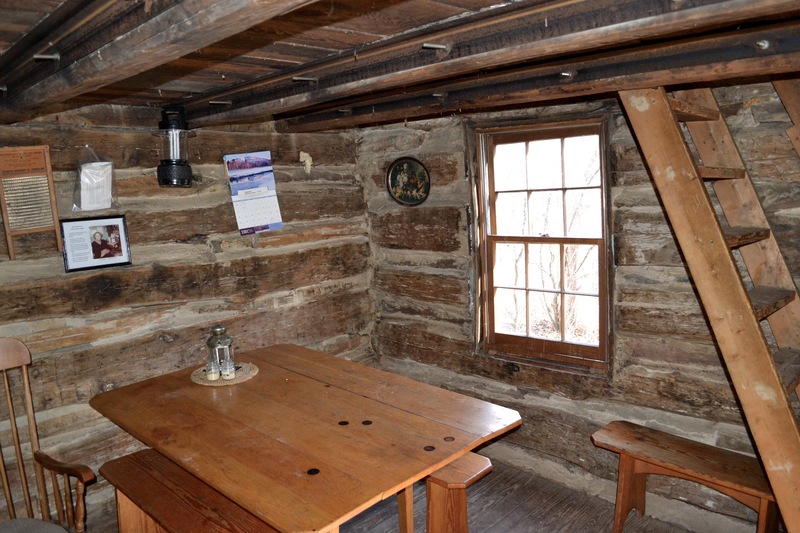 Humphrey Cabin (formerly Weaver Cabin) is named after Robert Humphrey, a volunteer who has built and renovated countless cabins in the PATC system over the years. It is a unique two-story structure of tongue and groove logs that dates to 1800. There’s electricity and spring water, a modest kitchen, lots of sleeping space, a horseshoe pit, and even a small ping pong table upstairs. There is also a nice covered porch with a spring-fed sink. 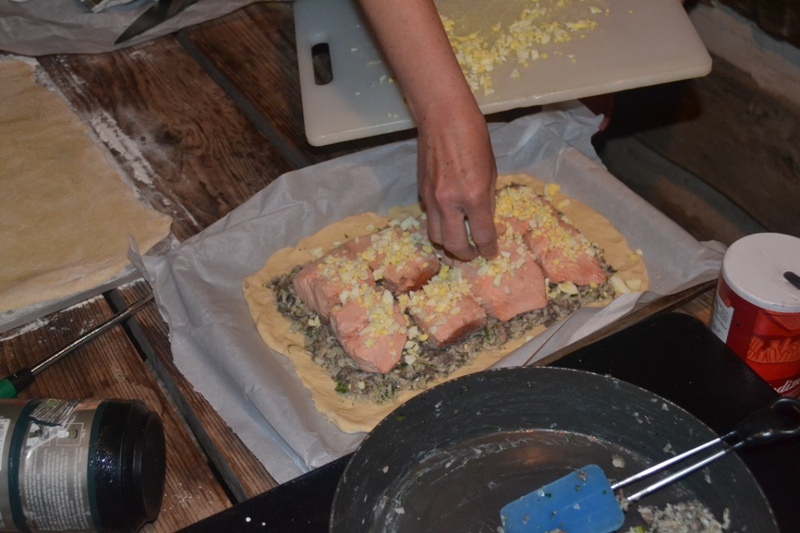 For dinner, we tried a new (to us) recipe called coulibiac–a traditiona l Russian dish featuring salmon, rice, mushrooms, onions, hard boiled eggs, parsley, and dill, all wrapped in a pastry shell. 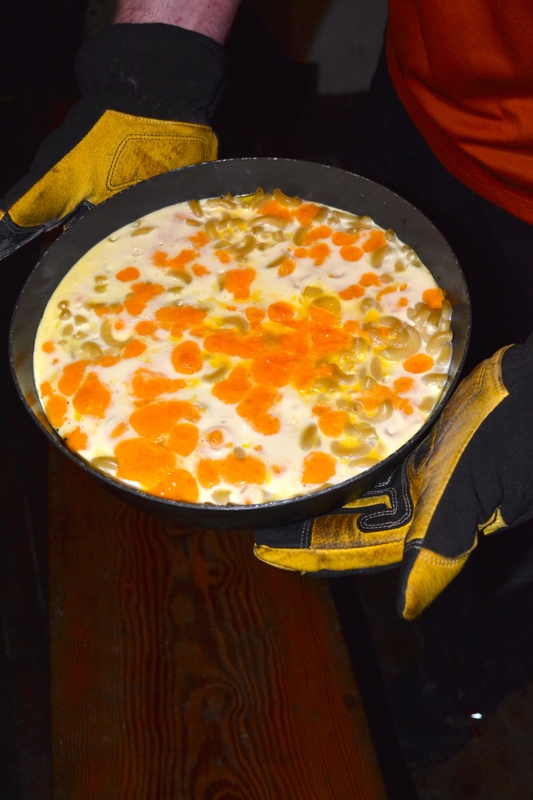 The recipe dates back to before 1900, and it first gained attention outside of Russia when it was included in the famed French cookbook Le Guide Culinare in 1903. 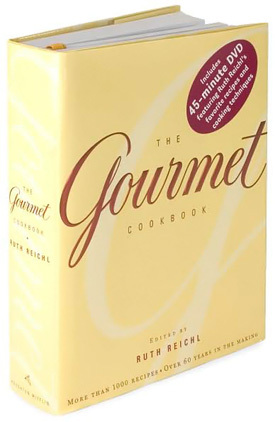 There are many variations; we used a recipe from The Gourmet Cookbook, one of our favorites. 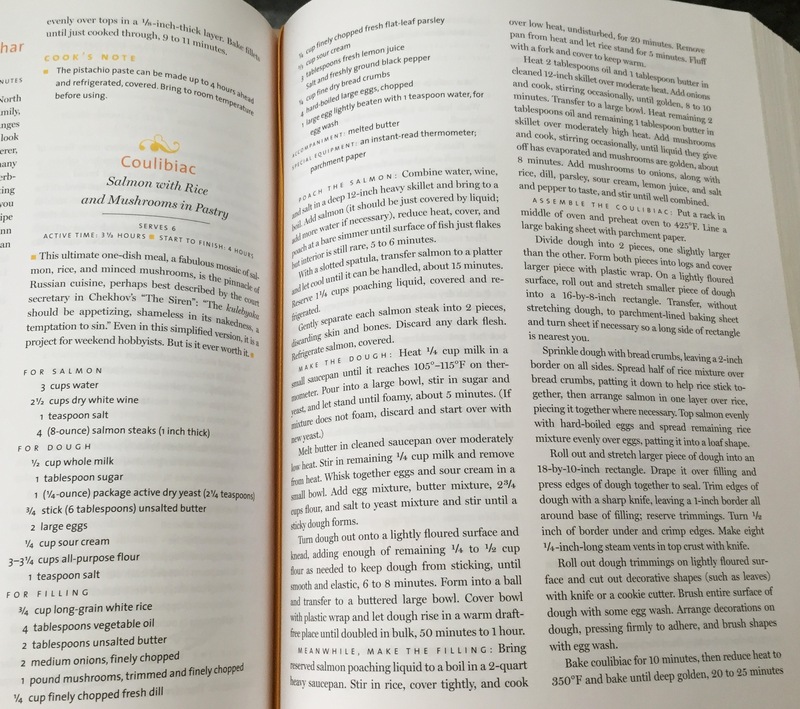 As expected, making coulibiac was an ambitious project, nearly four hours from concept to plate–but well worth the effort. 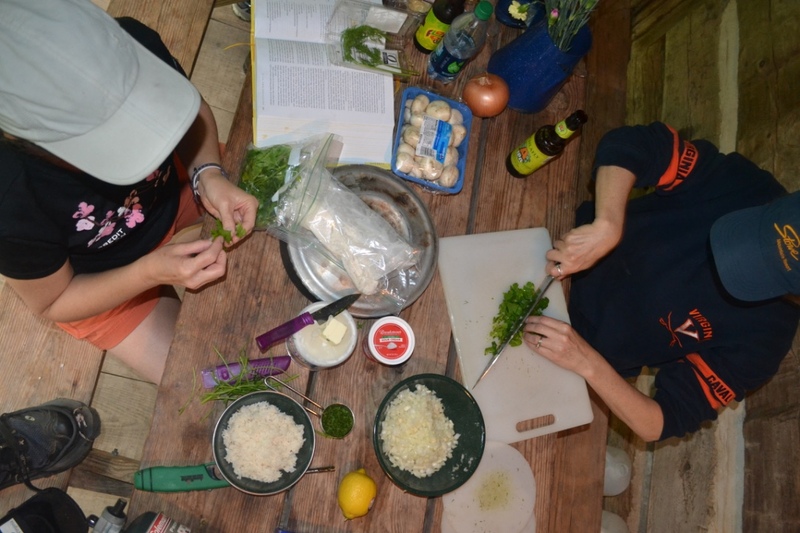 To help things along, we brought a propane stove, some pots, mixing bowls, cutting boards, a good knife, measuring cups/spoons, and an instant read thermometer (for working with the yeast). Without question, Souzz and Mo were the brains of the operation–but it took all three of us to pull this off. 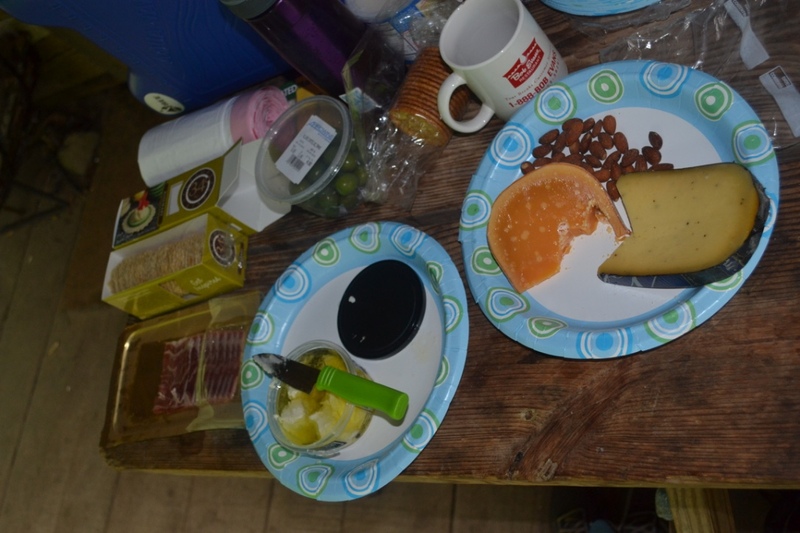 We did all of the prep under a lantern on the porch while sipping wine and nibbling on cheese, crackers, almonds, olives, and iberico ham. It’s really no wonder that my pants had to be surgically removed after the weekend. 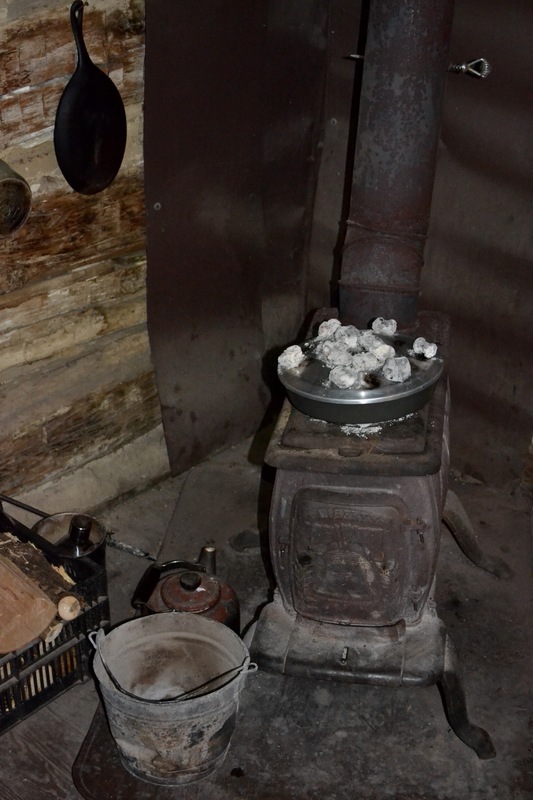 The cabin’s indoor kitchen was pretty basic, but it was adequately stocked and included an electric stove. That said, it can be a challenge to find exactly what you need for fancy meal prep in such a rustic setting. 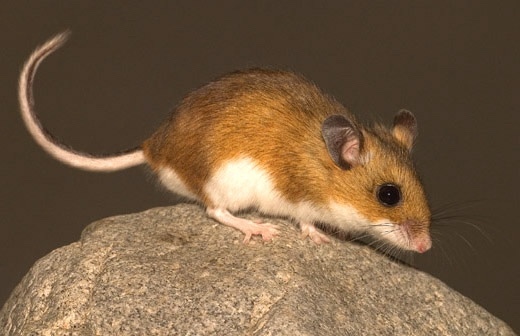 At one point during a search for a slotted spoon, Mo opened a utensil drawer and instead found a white-footed deer mouse scampering among the cutlery. In true Mo fashion, she quickly closed the drawer, named her new friend Humphrey, and refocused on dinner prep (umm, now using one of our own spoons). 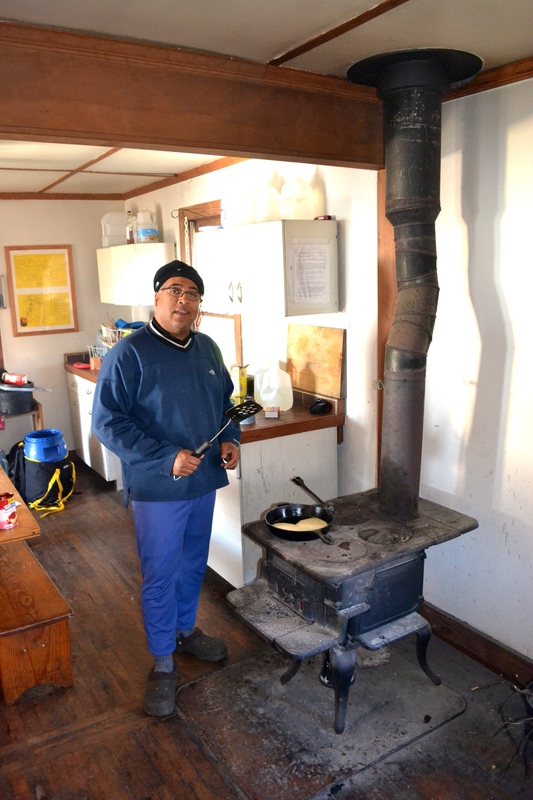 At that point, it dawned on me that cabin cooking might not be for everyone. We cooked up some asparagus while the coulibiac baked away. 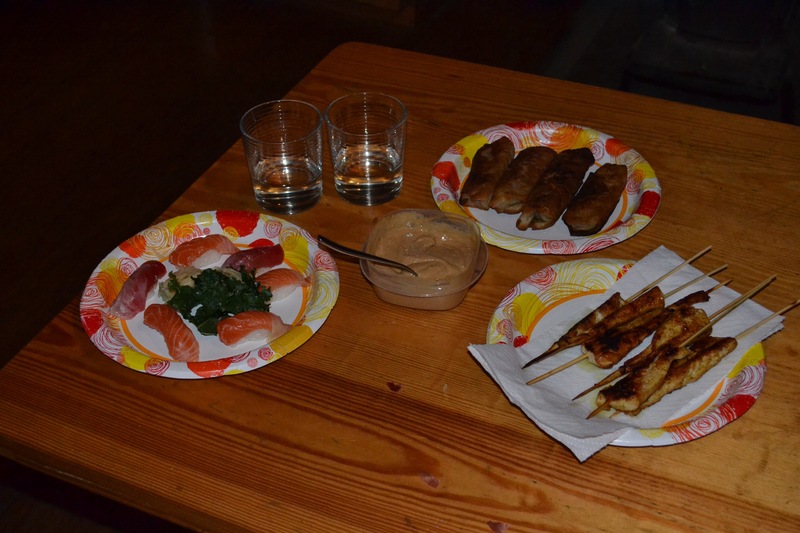 And once the main dish was done, we sat down to enjoy the fruits of our labor. 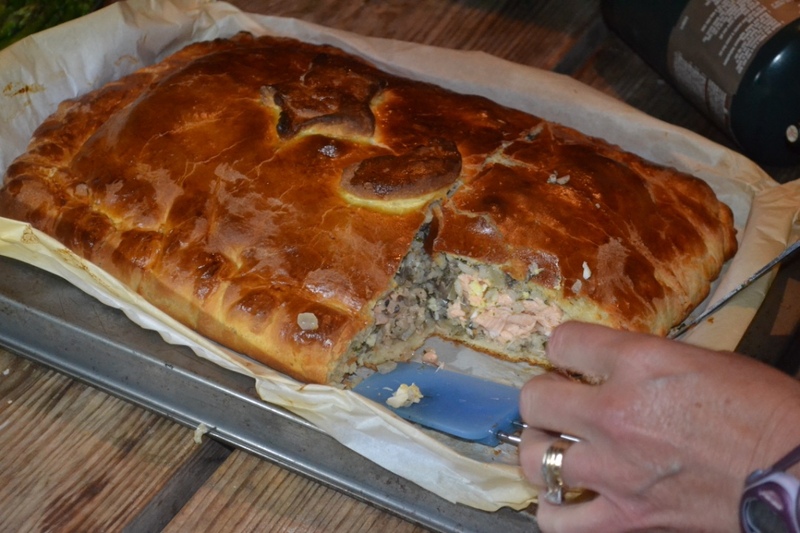 The coulibiac was quite nice, not too rich, but with a lot of different textures. 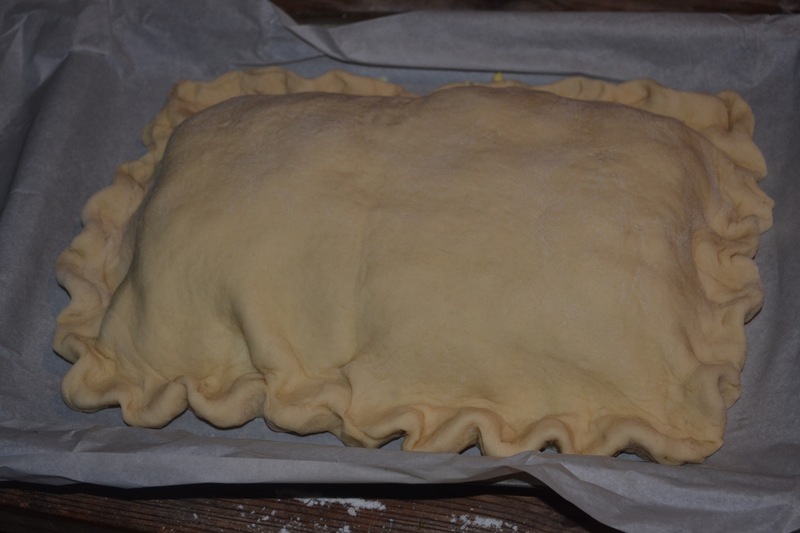 The pastry dough, which included sour cream in its ingredients, came out very nicely. 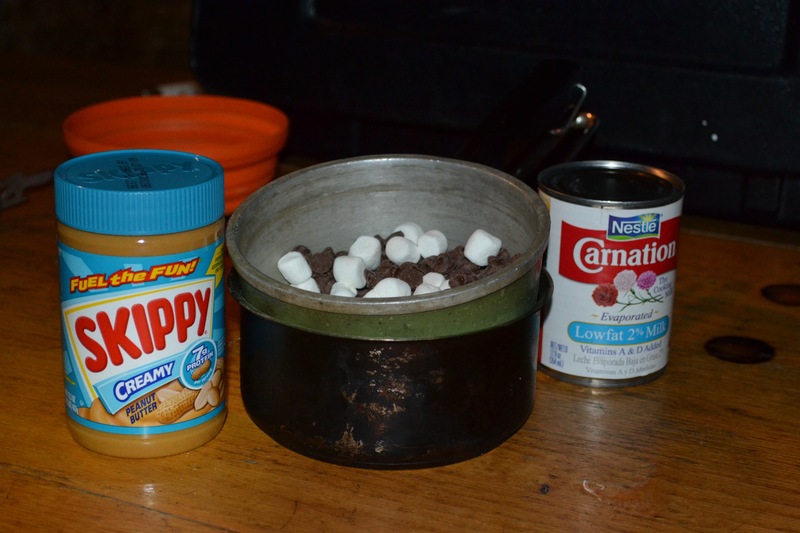 If I was doing this dish again, I would include a bit more salt in the filling, but otherwise we gave it high marks. 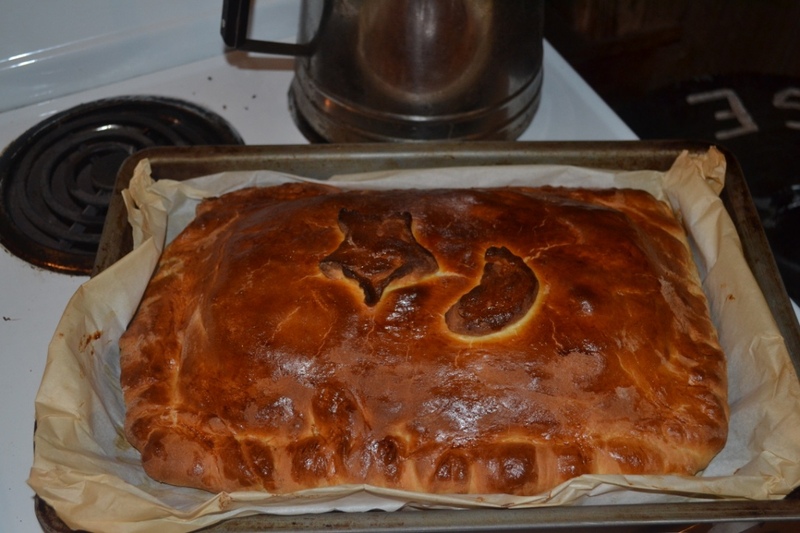 Bonus points: us foodies had never heard of coulibiac until we read the recipe…in fact, we kept forgetting what it was called! Sunday dawned a bit rainy, perfect for sitting on the covered porch. We enjoyed coffee and French toast along with sausage, eggs, and fresh fruit. 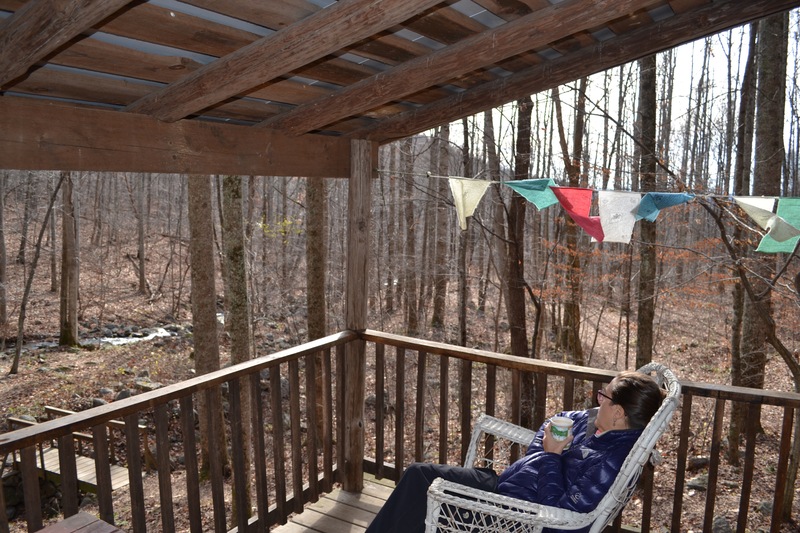 This time of year, the porch is definitely the center of the Humphrey Cabin experience, and we took full advantage. From there we did a little clean-up to leave the cabin in good shape for the next folks. 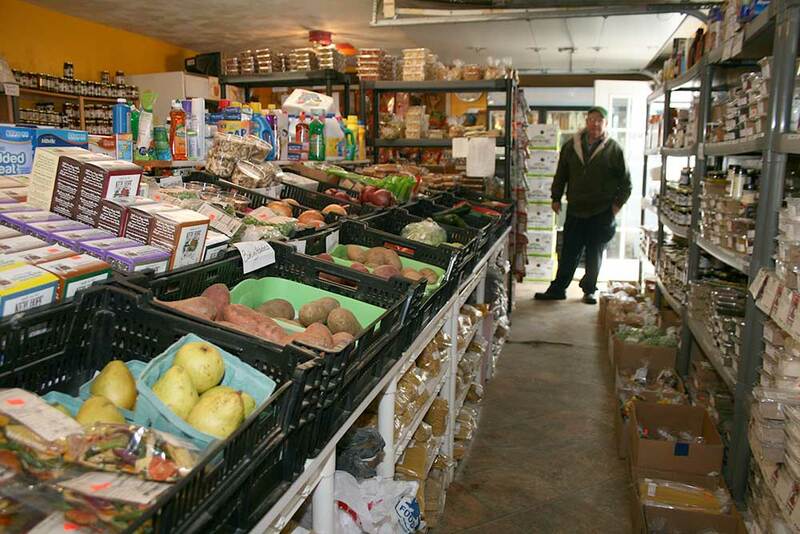 Then it was about 2 hours and 15 minutes home, interrupted only by the requisite stop at Roy’s Orchard in Sperryville for fresh produce and locally harvested honey. We spent the last part of our drive eating strawberries and laughing about the weekend. Looking back, it’s clear that both Maureen and the PATC cabins (and Souzz!) never disappoint in creating memorable experiences. 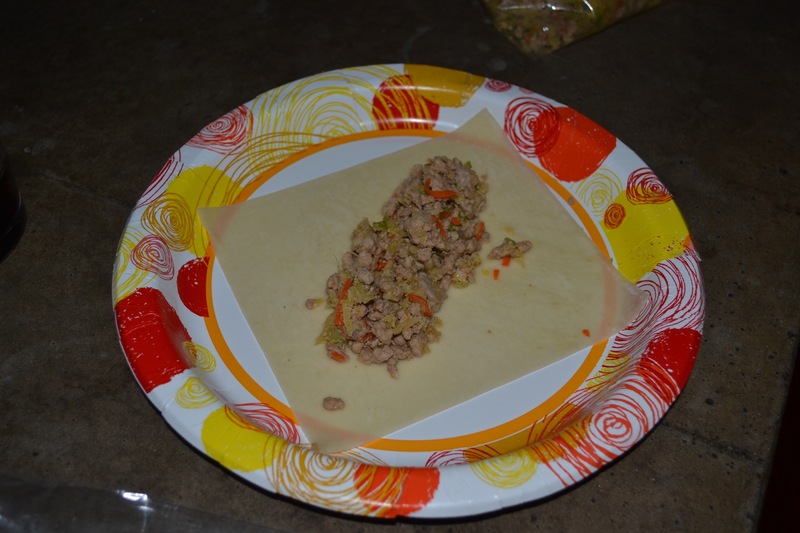 We had lots of fun and a nice culinary adventure, and we are confident that our coulibiac dish was the first of it’s kind in the cabin’s 215 year history. No wonder Humphrey was so curious. One of these days, I’ll surely grow up. But as I drag my feet in that process, my good friend KB’s son Max seems to be accelerating. 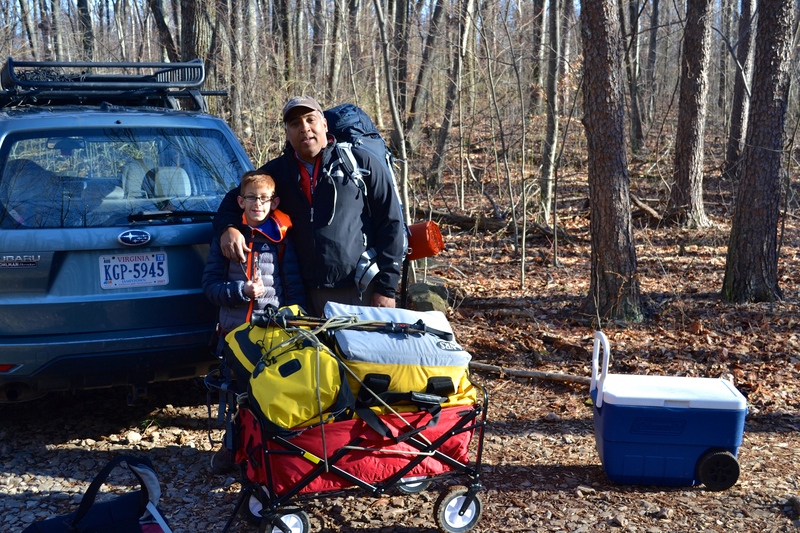 Max is nine years old now, and he’s a budding explorer with the perfect attitude for adventure. So KB and I decided to add Max to the mix for our annual winter trip. 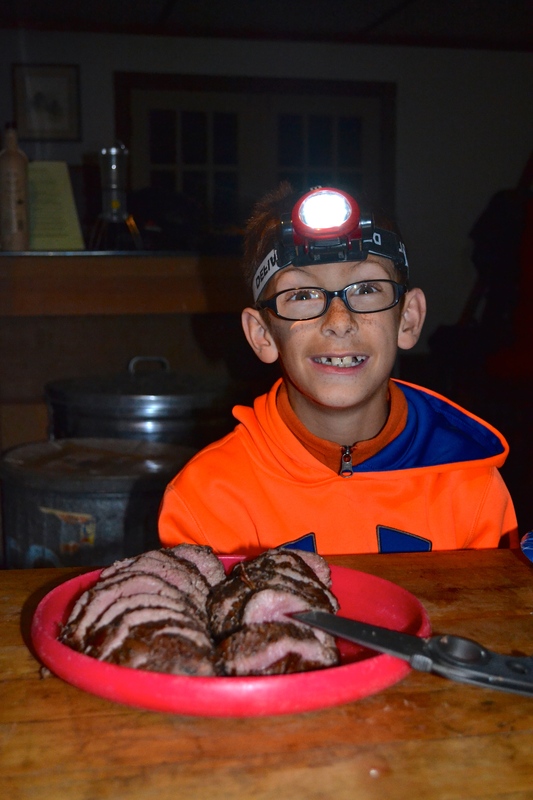 It was a new experience for him—and for us—and he upped the fun factor quite a bit! He also upped the sophistication level on most of our conversations (remind me to tell you the knock-knock joke about the banana). 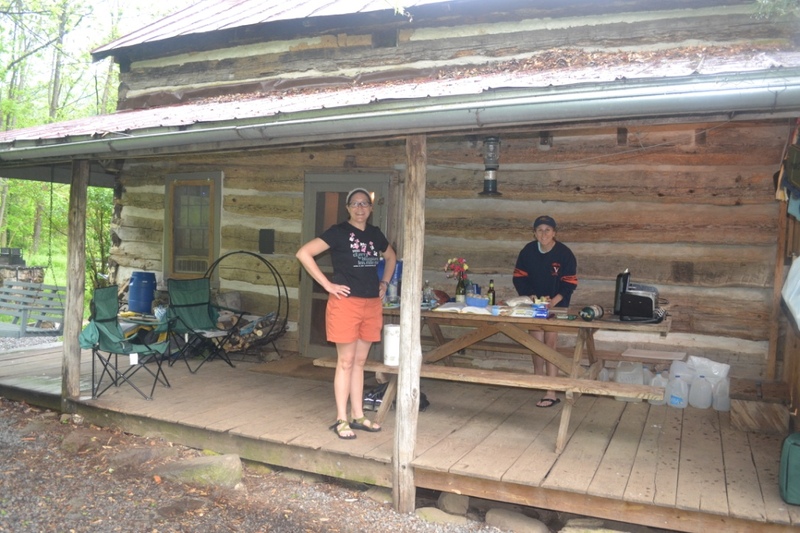 We headed out on Friday night to Conley Cabin, one of the PATC cabins in the Blue Ridge near Stanardsville. Conley is in the “Vining Tract” adjacent to Shenandoah National Park and it overlooks a beautiful valley. The cabin itself is a simple one-room structure with a wood stove, but no electricity, no water, no nothing…in other words, just perfect. We arrived well after dark and made the 20 minute hike in on the fire road, with Max keeping our cart of gear and food upright any time it started to spill. It was enough of a walk to feel like we were out there, but not too far. We (over)packed a full week’s worth of food for a two day weekend, of course, and we were thankful later that we had left all of our lycra behind. 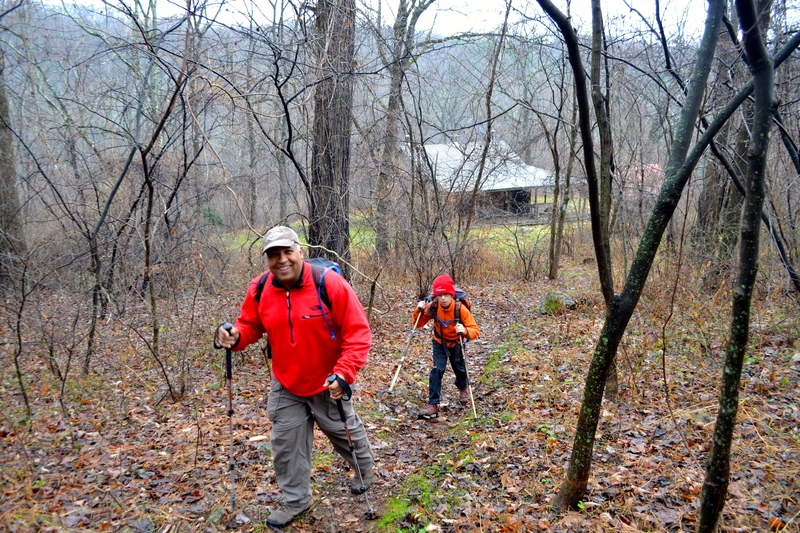 We woke up on Saturday to cold rain, but that didn’t stop Max from leading us on a hike up to a place called The Cliffs. 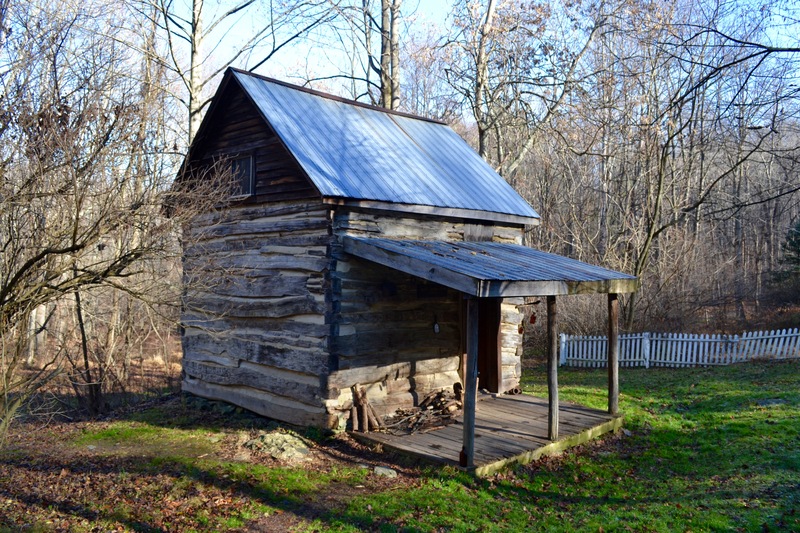 The Vining Tract features a great trail system with beautiful scenery as well as a lot of human history—old chimneys, foundations, and historic cabins. Then, despite the rain, we had a fabulous lunch at a spot called Andy’s Overlook. 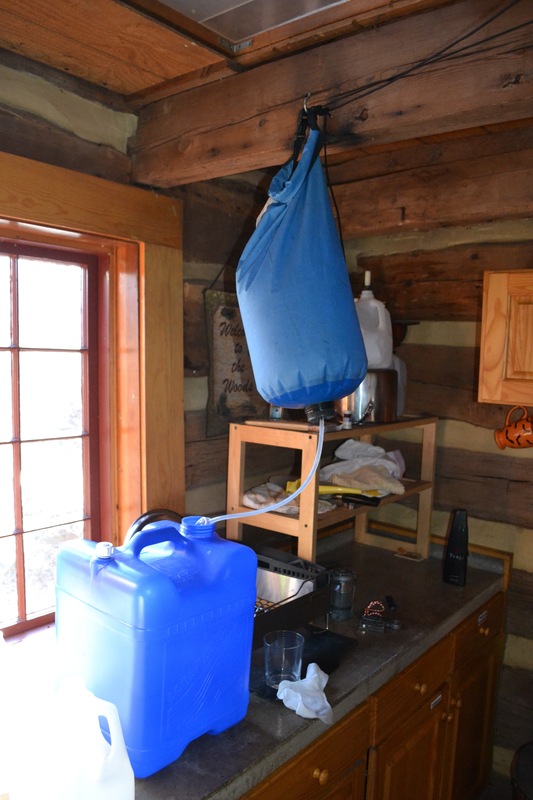 From there, it was back to the cabin to dry out, get water from a nearby spring, chop some wood, and get dinner going. On the menu were some old favorites: beef tenderloin, casserole-style macaroni and cheese, fresh green beans, and cheesecake and apple dumplings for dessert. We cooked the tenderloin over a spit on the outdoor fire, refining the technique a bit since last time. It took about 45 minutes and was smoked to perfection (along with Max, who apparently chose the wrong place to sit around the fire). Max announced on Sunday morning that he wished we were staying another night, although he conceded that he “sort of liked electricity, and a shower would be good.” We talked a bit about Elijah Conley (1904-1992), who built the cabin in the 1940s and lived in it year round, and we guessed that he may not have shared Max’s enthusiasm for the outhouse (although it was a nice outhouse). KB and I have been sharing fabulous adventures for nearly 30 years now, but this trip is one of my favorites. It was great to share in Max’s enthusiasm, curiosity, and outdoor skills, if not his knock-knock jokes and his love of the privy. 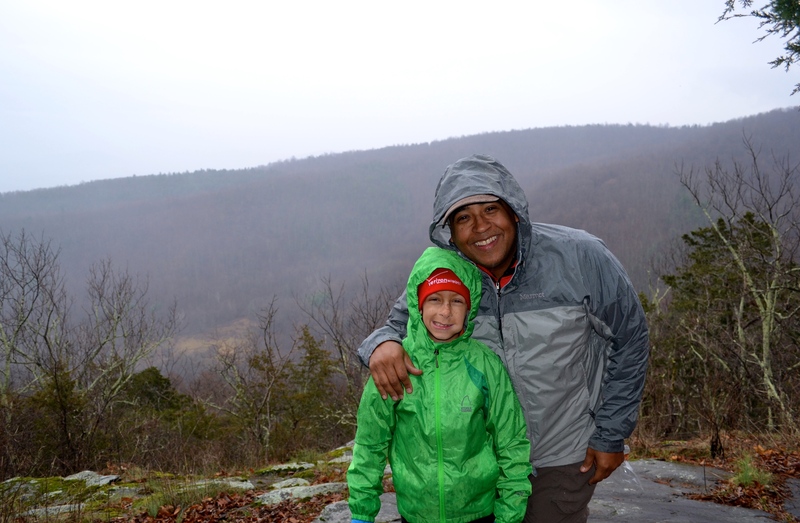 Sure, it was humbling to be out-hiked by a nine-year-old, but that’ll never happen again. Max turns ten in just a few weeks.